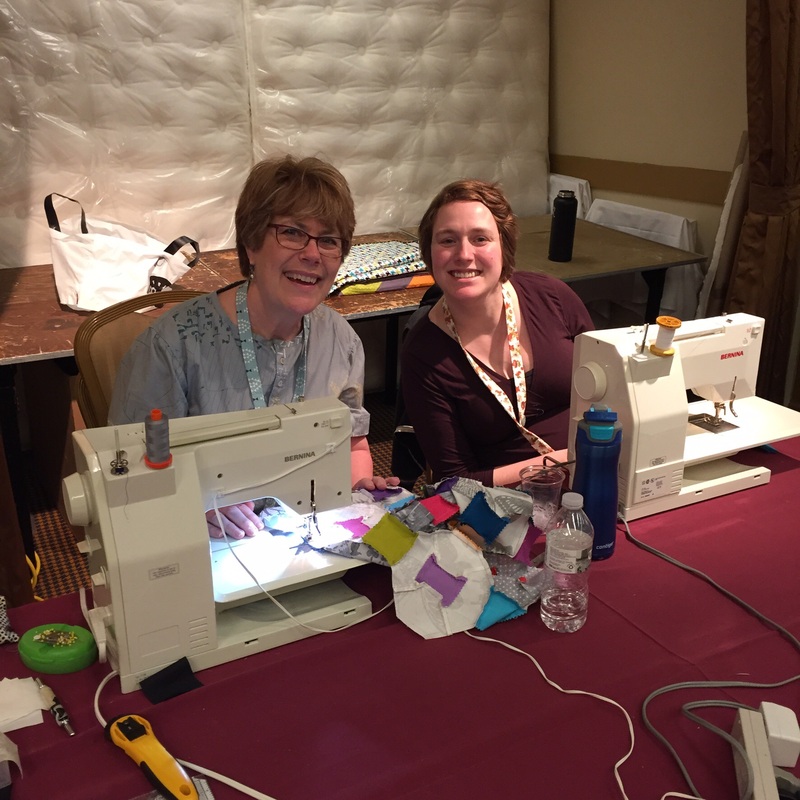 My daughter, Lindsey, and I spent this past weekend at a sewing event called Sewtopia which was held in Chicago. 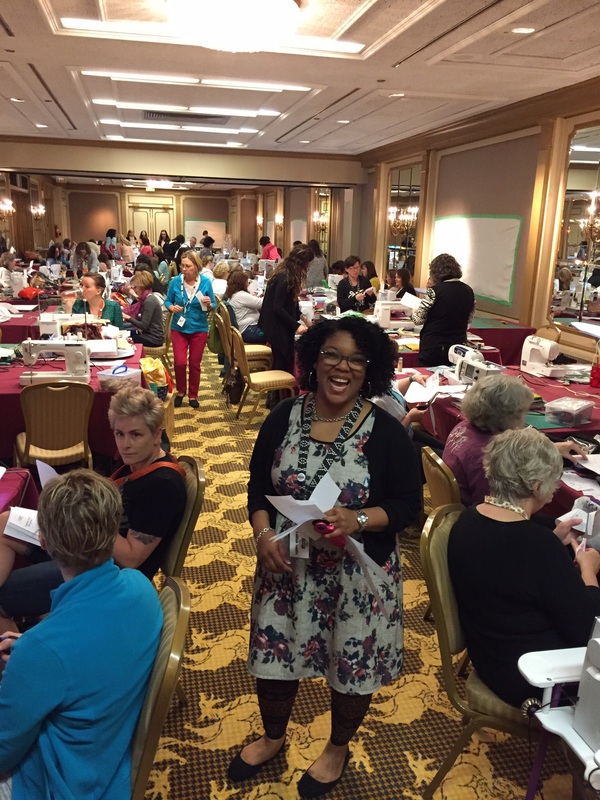 Sewtopia is a 3 day sewing retreat for the online sewing community which occurs 2 times a year in different places around the country. During the Spring retreat the focus is on education and we had 2 fabulous instructors! 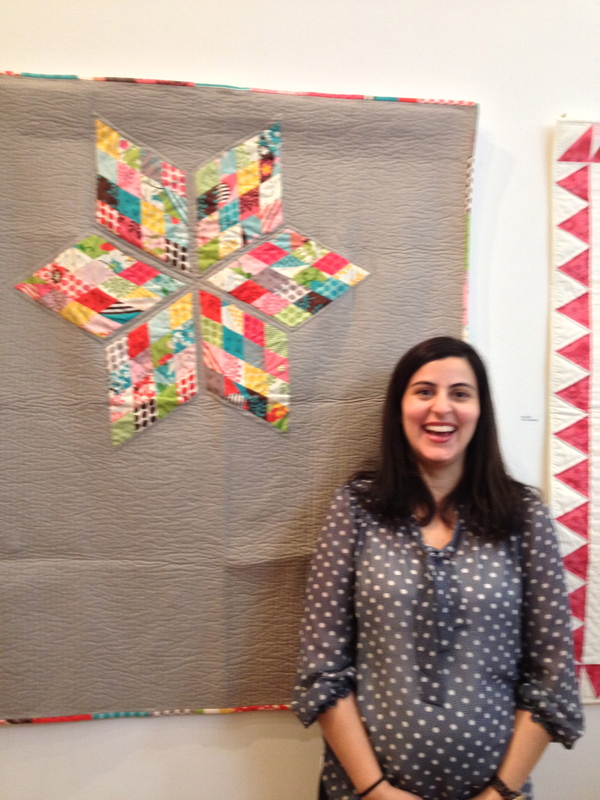 Latifah Saffir traveled from Los Angeles to teach us her Molehill Quilt design which is all curved piecing. The curves are rather long and shallow and sewing them was a breeze after Latifah gave us tips and showed us how to sew them. Lindsey arranging her Molehill blocks. Did I mention that Lindsey is pregnant? 37 weeks pregnant to be exact. She lives in the Chicago area and so did not travel out of her usual stomping ground to attend this event which we had signed up for longer than 9 months ago. She and Latifah are both engineers and Lindsey could really appreciate the engineering that went into this quilt design. The final layout was decided. 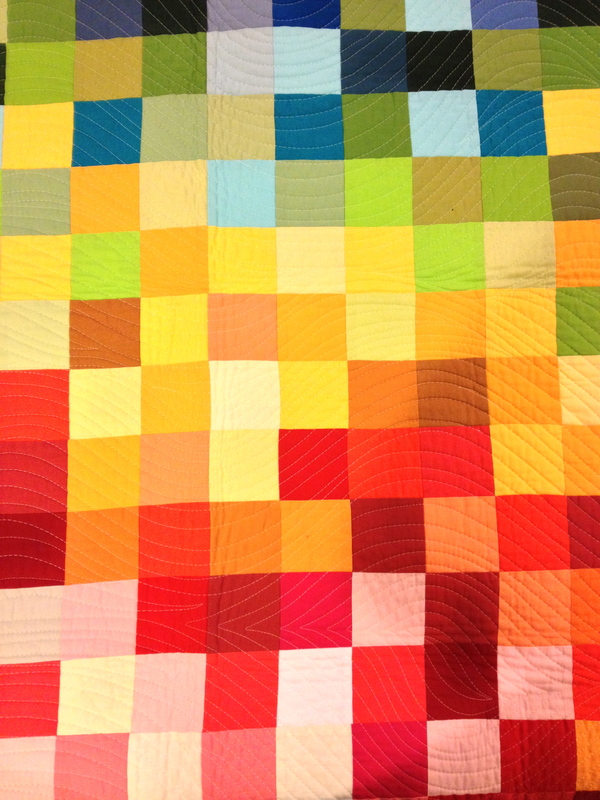 The “Molehills” are all made and then some of them are cut and repositioned such that you end up with a rectangular quilt with straight edges made from all of those curves. You have to admit, that is some engineering! The name comes from a play on the saying about “not making mountains out of molehills”. These arcs are large (24″ wide) but not tall and so they are definitely more like molehills than mountains. This pattern is due to be released by Latifah later this week. Click here to go to her website. 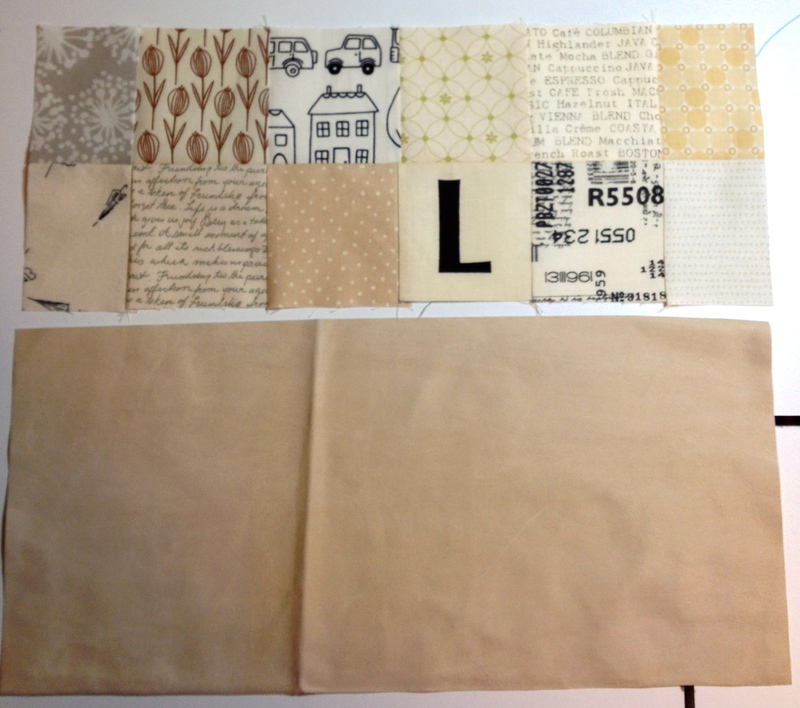 I did a fair amount of prep work for a Molehill quilt top of my own but wanted to spend more time figuring out a layout. I decided to help Lindsey construct her blocks so that we would get to the assembly while the instructor was still available to guide us. So . . . I don’t have any molehills of my own to show right now. The following day we had Rita Hodge from Red Pepper Quilts who came all the way from Melbourne Australia to teach us how to piece Y seams to make the Kansas Dugout block. 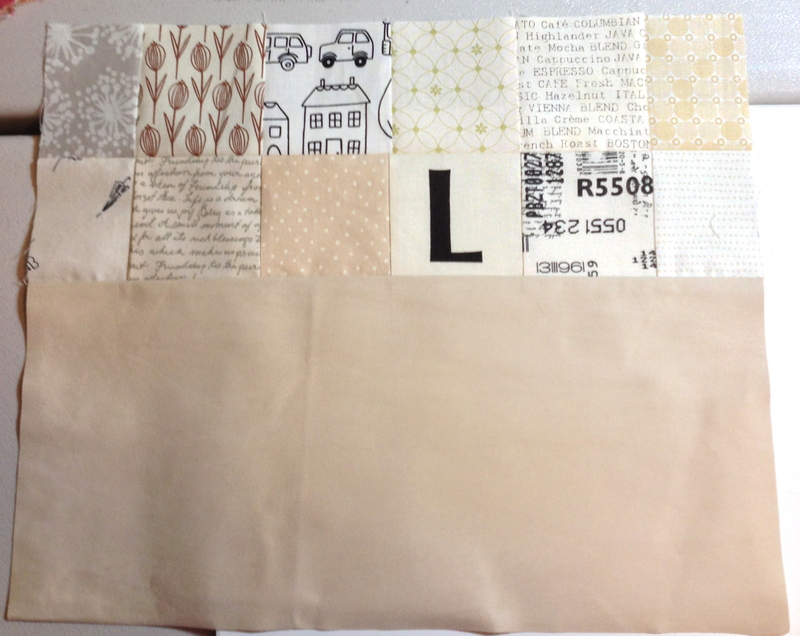 This block is sewn together using many, many, many, Y-seams. Did I say “many”? No exaggeration! This looks rather simple but was like putting a puzzle together. 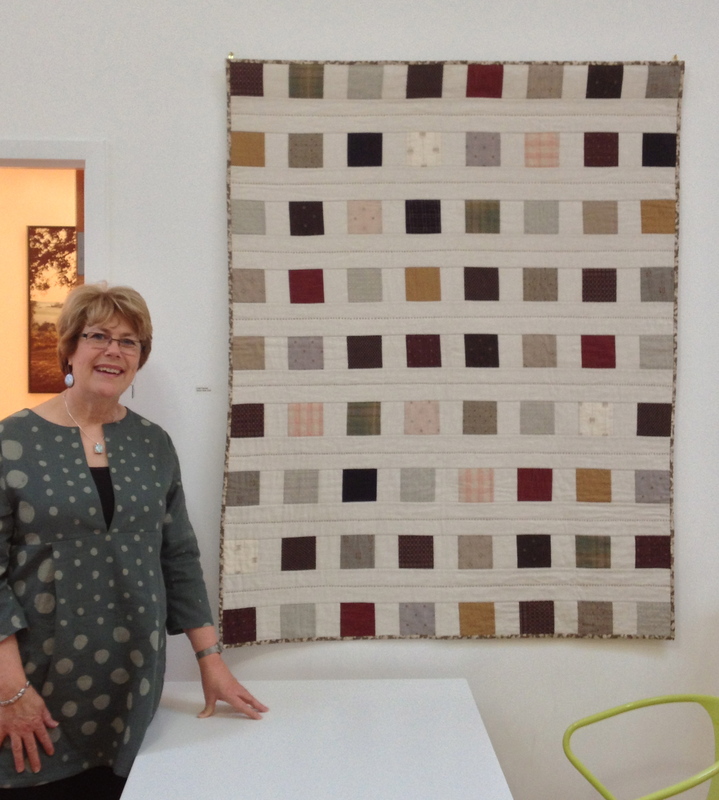 The photo above is Rita’s quilt which is made up of 100 Kansas Dugout blocks. The templates for this block in 3 different sizes can be found on her website here and sewing directions are on her blog here. 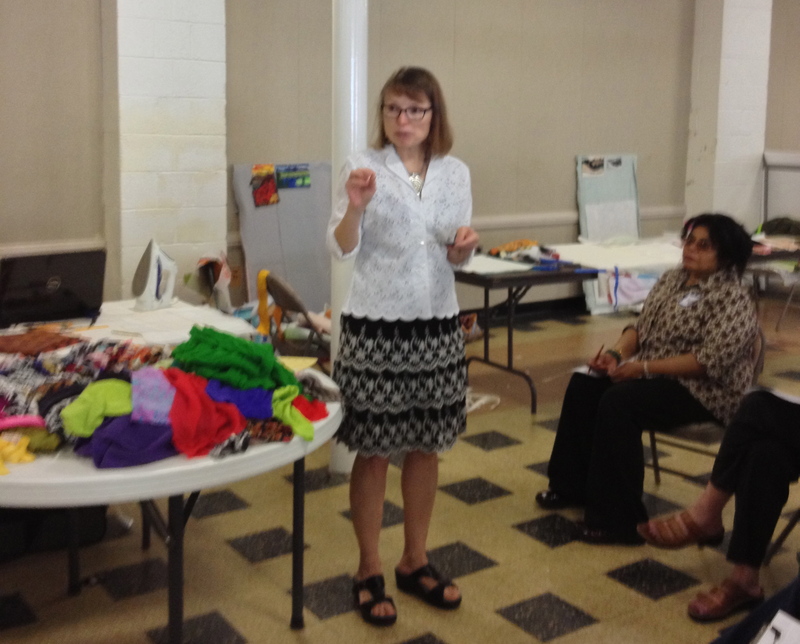 The attendees of Sewtopia Chicago where issued a sewing challenge several weeks before the event. 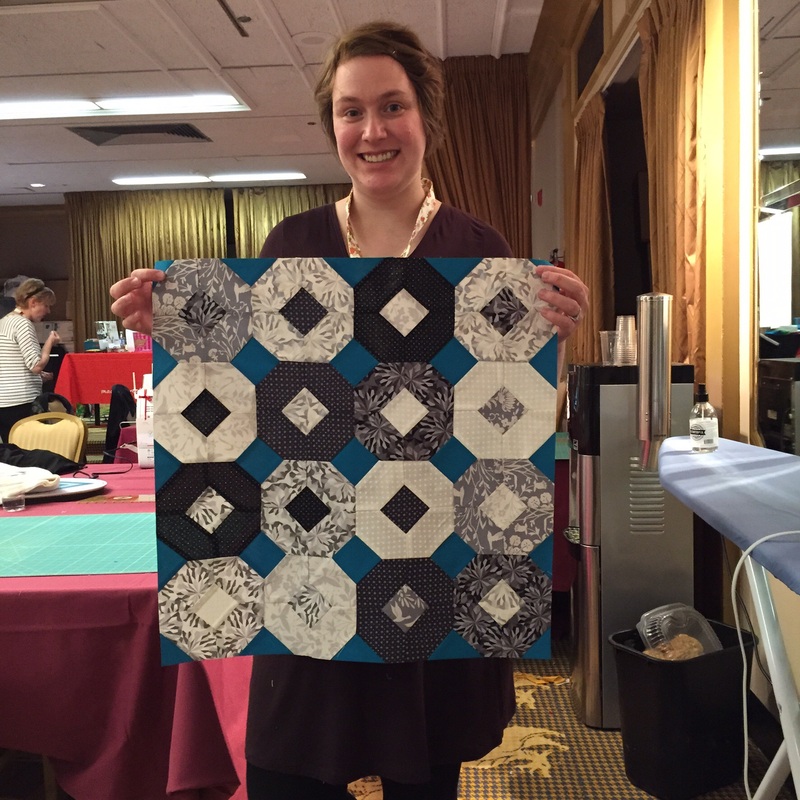 We were each sent 6 pieces of Michael Miller fabric and asked to create something quilted from them and bring it to the event to be shown all together and a few would be chosen by judges to win prizes. 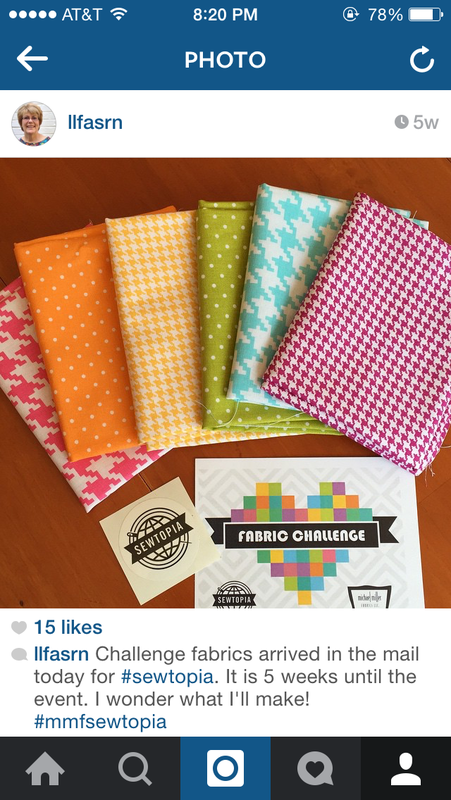 Lindsey’s entry into the Michail Miller Fabric Challenge. 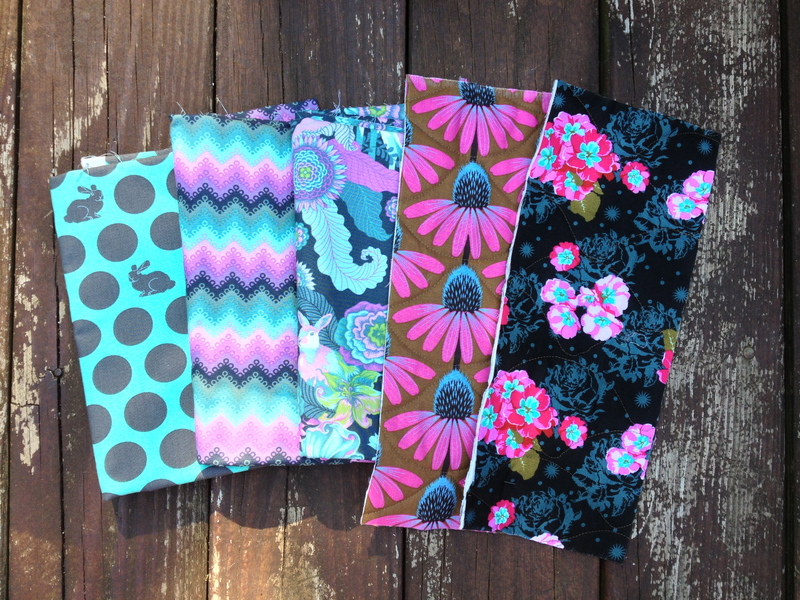 You could add other Michael Miller fabrics to your piece. 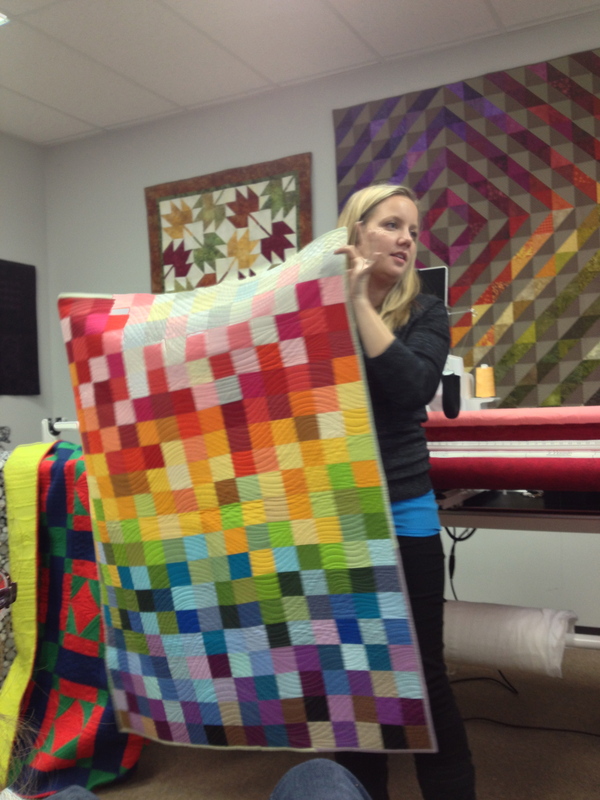 Lindsey ended up making a pretty large quilt. We were sewing the binding down right before we went to the opening registration where we had to turn our items in. 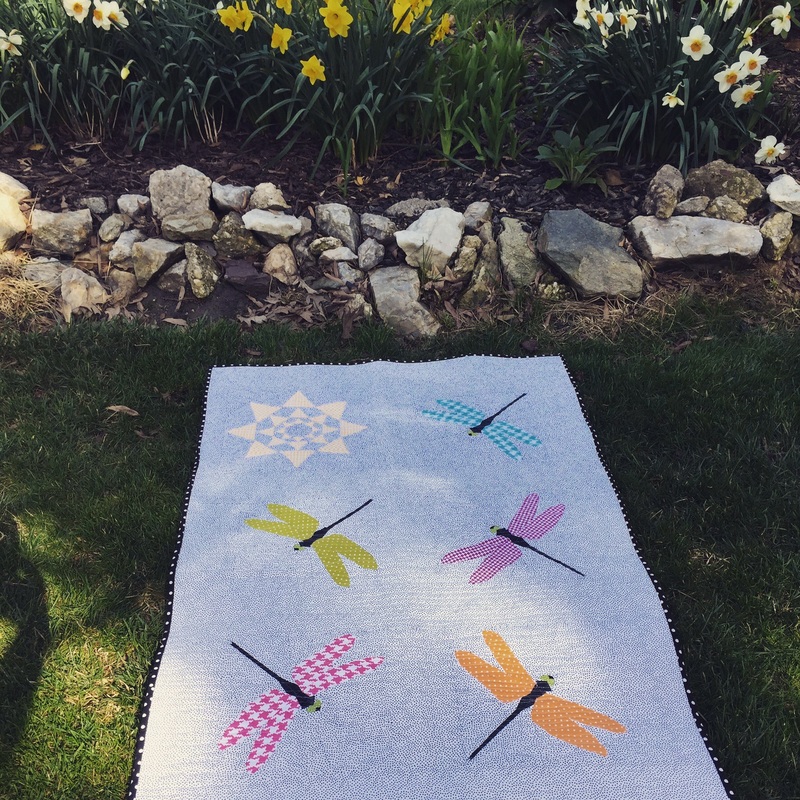 My entry was the Dragon Fly quilt pictured above (and below) with just a few of the the other entries. During lunch the day of the judging the attendees requested to vote on their favorite of the challenge items and the staff agreed and made it happen. 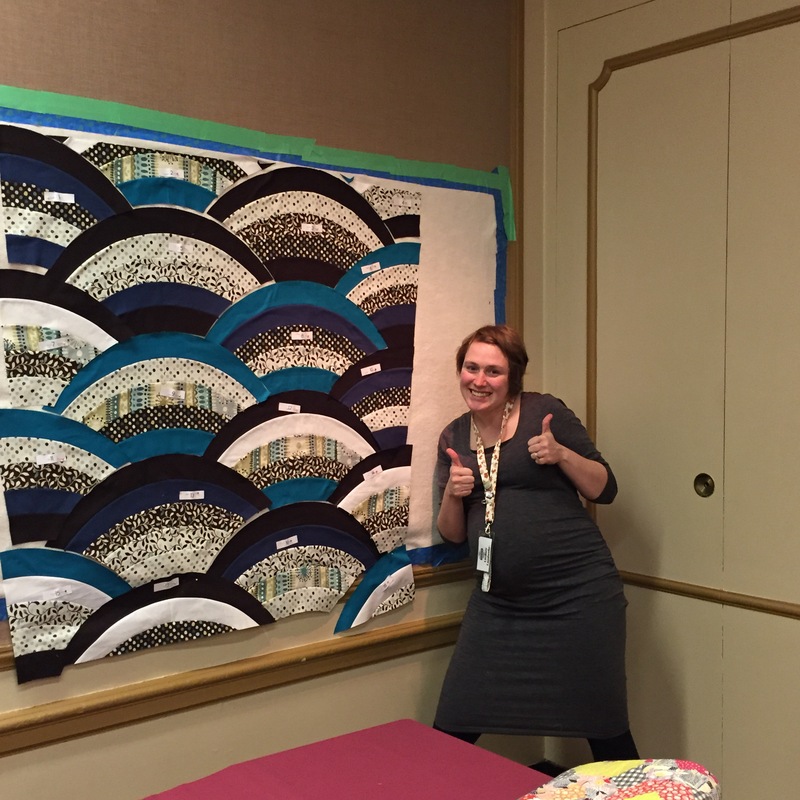 Guess which quilt won “viewers choice”? Mine! I thought the dragonflies were pretty cute, but it sure was great to know others did too. 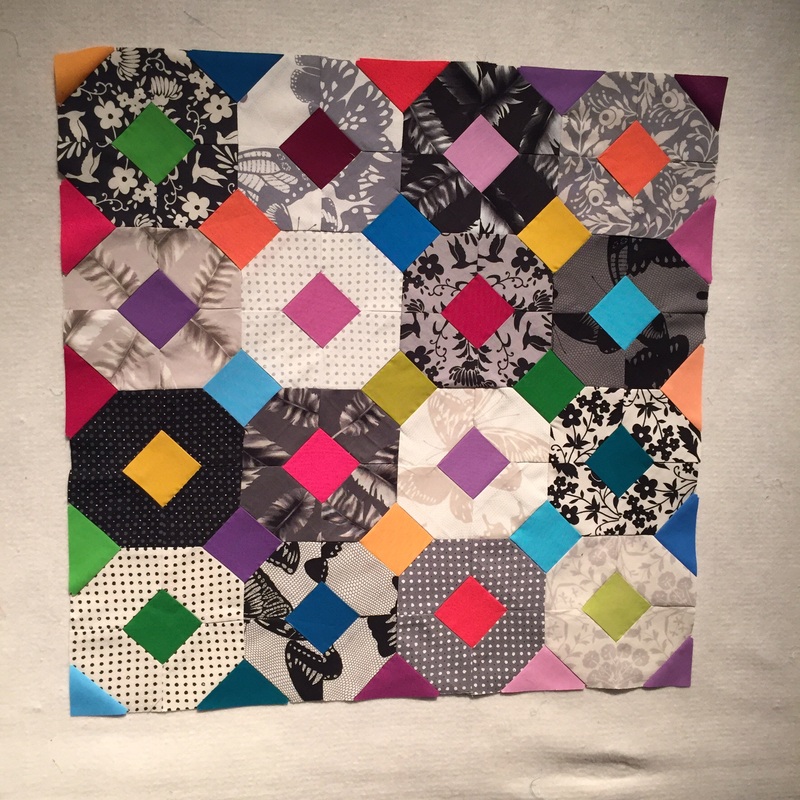 It is a paper pieced pattern by Amy Friend that can be found here. I do not have photos of the items that won the judging. If the Sewtopia people post photos of them later I will edit them in. 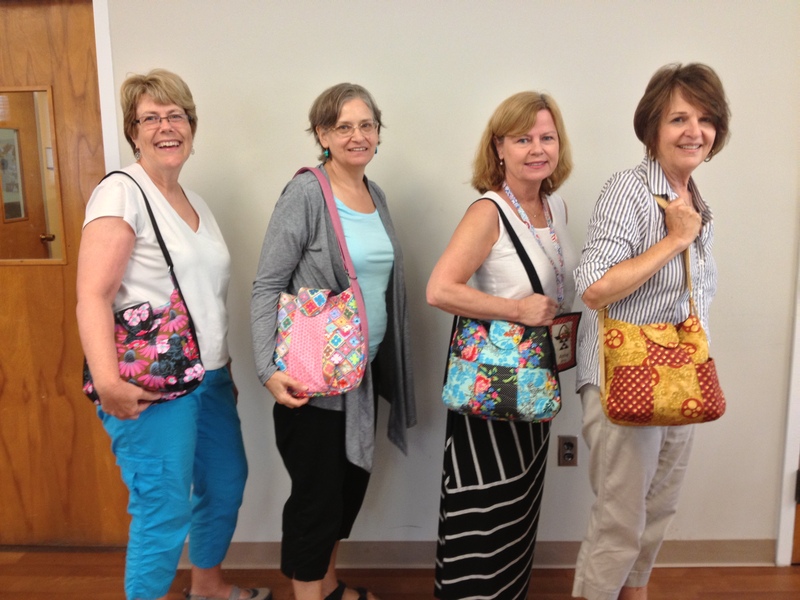 The winner made a bag with amazing piecing and the words of the song “Over the Rainbow” free motion quilted into it. Second place was a fabric iconic Airstream trailer and 3rd place was an adorable rag doll. There were many other wonderful sponsors for this event including Bernina who provided sewing machines for many of the participants, Pellon who provided rolls of batting and Reliable who provided irons. The organizers and staff were all truly amazing. I had so much fun with these ladies! I didn’t realize there would be other DC sewers at the event, but found that there were 3 others when I got there. Kristina on the left above has moved to Chicago is now a student at Northwestern University. Stephanie and Lauren flew in from DC for the event and it was such a pleasure to get to know them better. To say that it was a wonderful weekend is such an understatement that it seems stupid to even say it. I sewed, I learned new things, I met new people and I was with my daughter who lives much too far away from me and who’s life is about to change forever. I feel as though I’m the luckiest woman alive. To top it off – I’m going to yet another retreat this coming weekend! 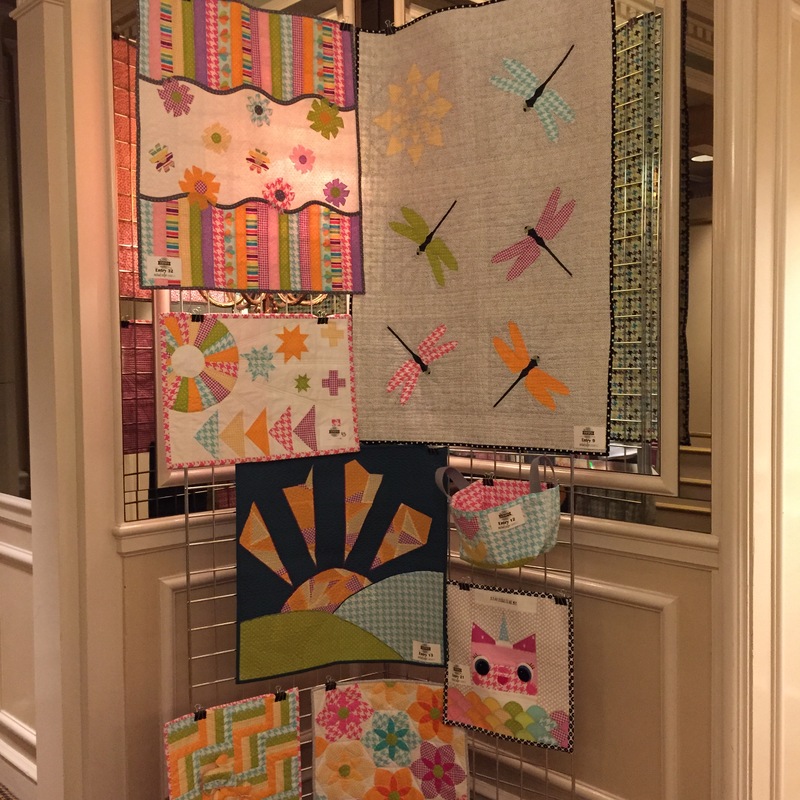 Mid Atlantic MOD will be happening in Lancaster, PA and I will be there with many of my friends (some feel like daughters) from the DC Modern Quilt Guild. I can’t wait! I Would Like to Hire you to Come Speak to my Quilt Guild. 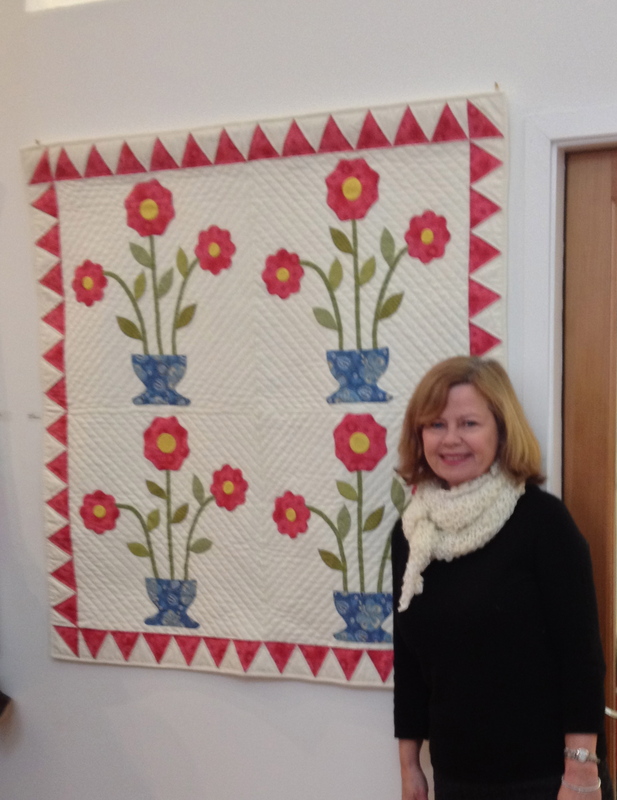 I am a program co-chair for the Needlechasers of Chevy Chase, a traditional quilt guild in Maryland. 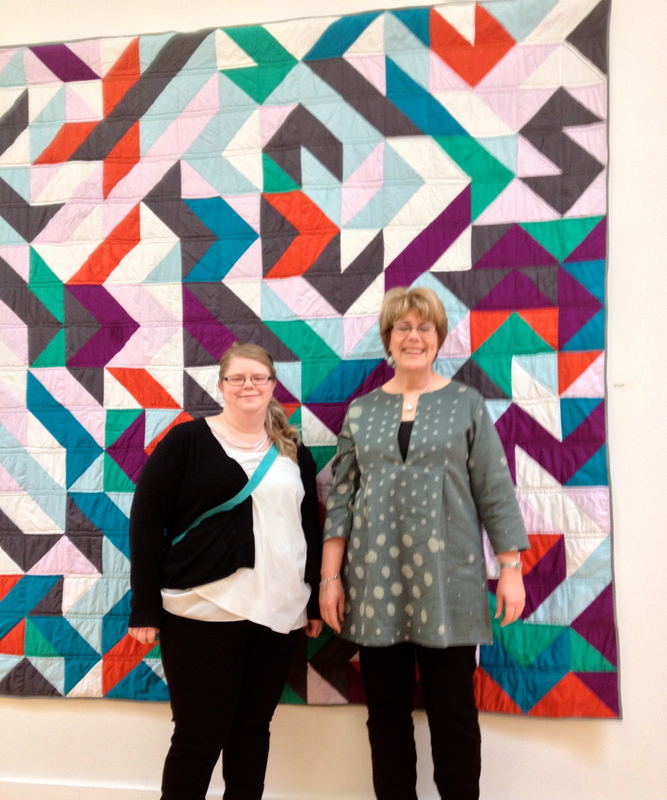 We had a successful quilt show recently and now we know we have the funds to hire lecturers for another few years. Oh Boy! Did you notice that I said co-chair? Fortunately I do not have to do this alone. It takes two of us to seek out interesting lecturers who we think our eclectic group would like to listen to and who can teach us something we don’t already know. 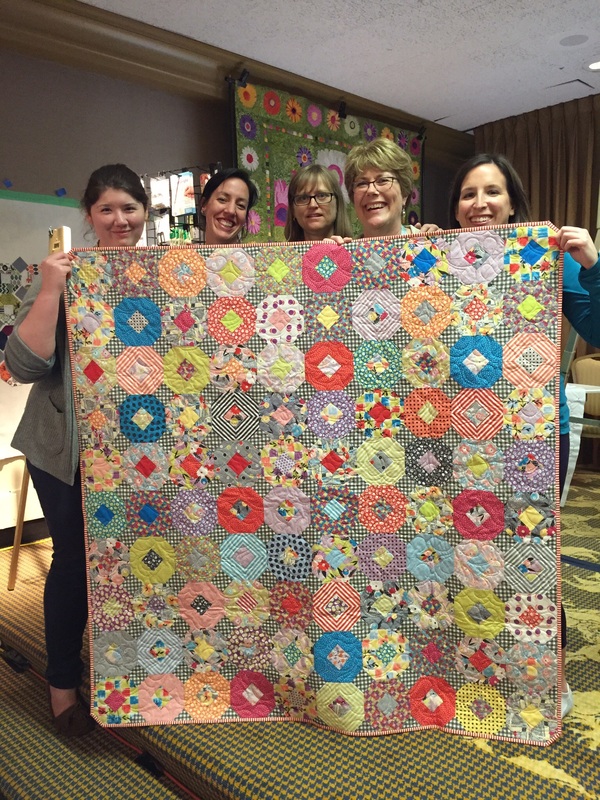 Some of us have been at this quilting thing for quite some time and think we know a lot! Others in our group have just begun quilting and that makes for a wonderful mix, except maybe for this hiring-a-speaker job. I am just a home crafter who loves to sew. I am not an accomplished artist. I subscribe to very few quilt magazines – they just mess up my house because once I have them, I don’t like to throw them away. I’m sure that each one has something in it that I will want to make someday. (This also applies to knitting and beading magazines). I prefer to peruse quilts, patterns and fabric online. What I’m getting at here, is that I don’t really know who the local quilt experts and artists are. That is what attracted me to joining a guild – I get to see and hear from people who are creating wonderful “fabricy” things and they sometimes tell me how they made them. Such inspiration! I have some advice for those of you who are seeking these lecture jobs. There are a few things that would obviously help me to hire you. My first suggestion is that you must have a website! How can I find you, if you don’t? The first thing that I do when someone says to me, “I heard the best speaker a few years ago and her name was Jane Doe”, is to google Jane Doe. In this case I would google Jane Doe Quilter in order to narrow down the field. If this search does not produce a website for me to find out who Jane Doe is and how to contact her, I can go no further. Well, I suppose I could, but I am unlikely to because there are just too many other speakers I can find this way. If you give lectures to groups like mine, please have a page on your website that lists a description of the lectures (and workshops) you give. I like to see as much information there as you can give. What is your fee? You may think that listing this will deter people, but I think the opposite is true. What other expenses do you expect to be reimbursed for if you travel to speak to my group? Where do you live? 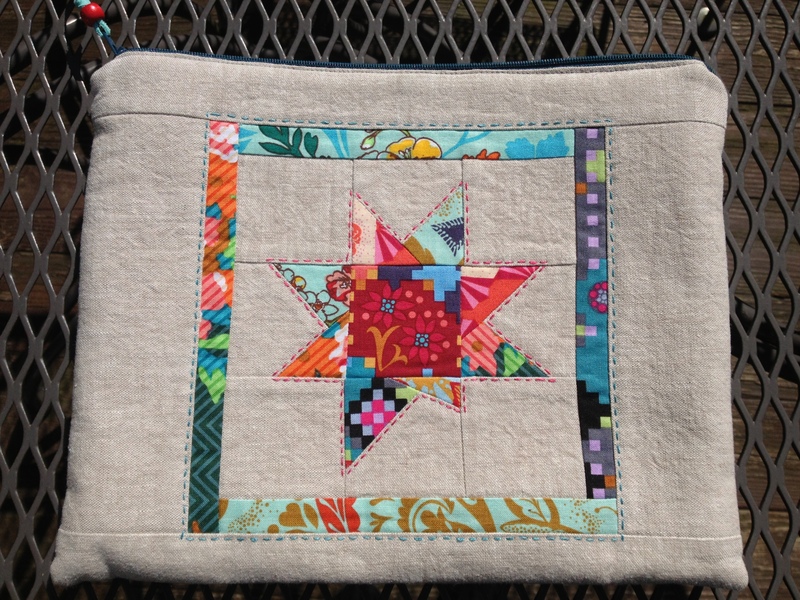 Sometimes I can not find out from a website or blog whether the quilter even lives in the same country I do. This may sound crazy, but check your website and see if this is there. It doesn’t matter how famous you are, I don’t just know where you live. I don’t want your exact address, but at least your city and state so I can figure out what it would cost to get you to our guild’s meeting. Some lecturers have a calendar on their websites and keep a running list of where they will be traveling to speak or teach. This is not essential but is nice as I can look to see if I might coordinate your coming at a time when you will be nearby anyway. Is there contact information on your website? Is there an email address or a “contact me” link? Obviously I need some way to invite you to speak to my group. Sometimes we contact a lot of people all at once and it is those who send us a prompt reply back that end up getting the job. We hope to be contacting you soon. Make it as easy on us as possible. Please! In case you want to contact me, leave a reply or use the “Contact me” link at the top of this page. 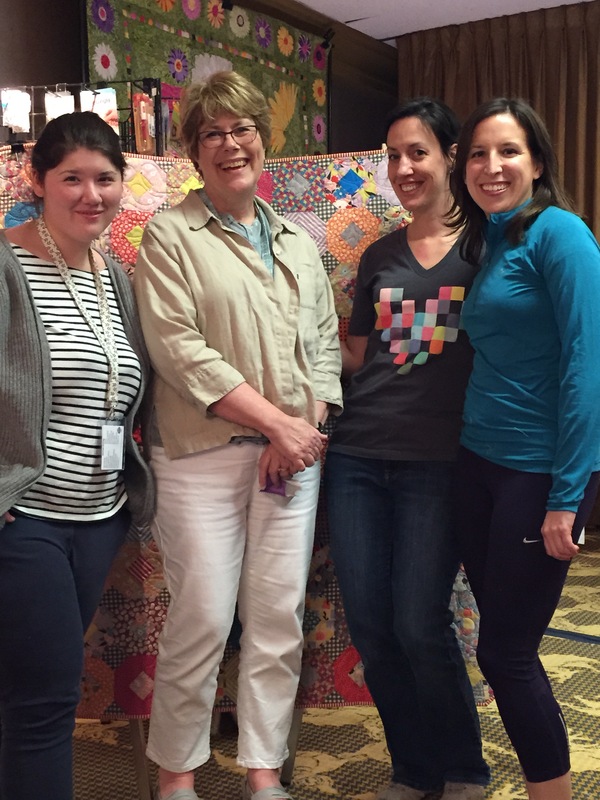 I live in the Washington DC area and I’m looking for quilt guild lecturers. Do you have a recommendation? 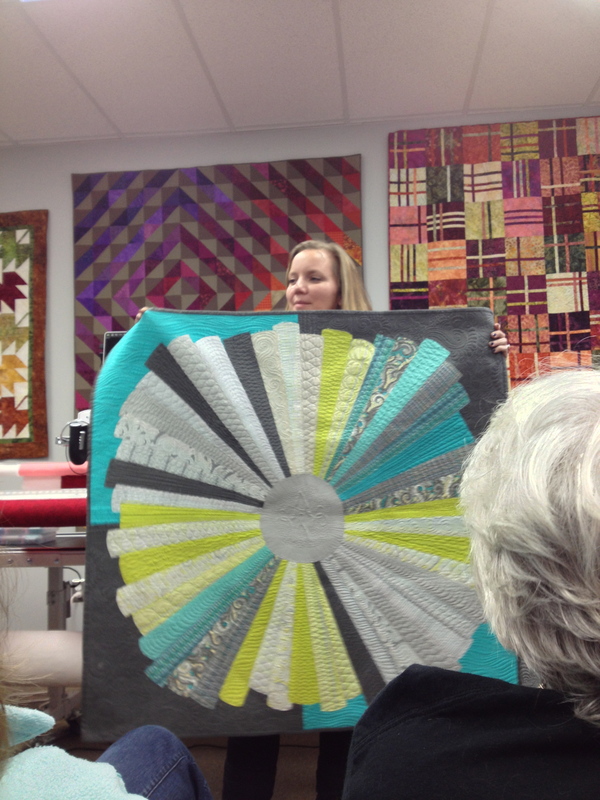 Angela showing one of her quilts. I had the extreme good fortune this past week of hosting Angela Walters in my home while she was in the DC area giving lectures and a workshop to the two quilt guilds that I belong to. 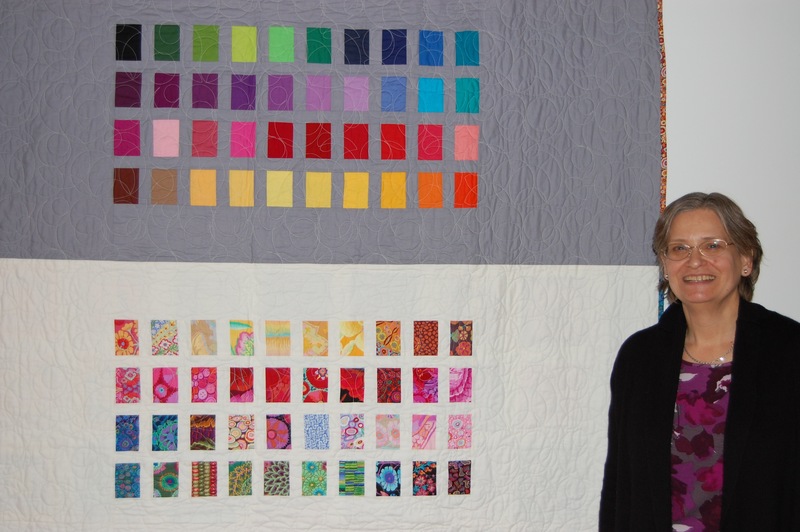 She is a long arm quilter who’s work is so exquisite that many of the modern fabric and pattern designers (Tula Pink, Jacquie Gering, Cherri House to name a few) ask her to quilt the quilts they are going to display at market to sell their designs. 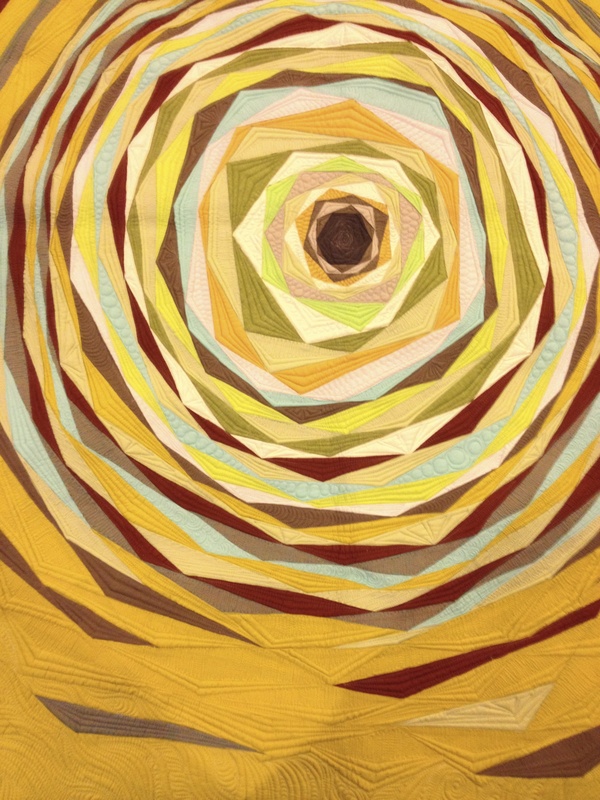 See her quilting portfolio here. 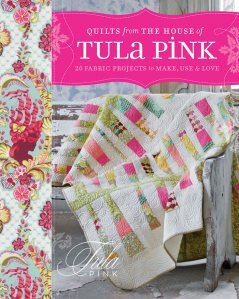 Angela quilted this quilt that is on the cover of Tula Pink’s book (and all of the quilts inside). 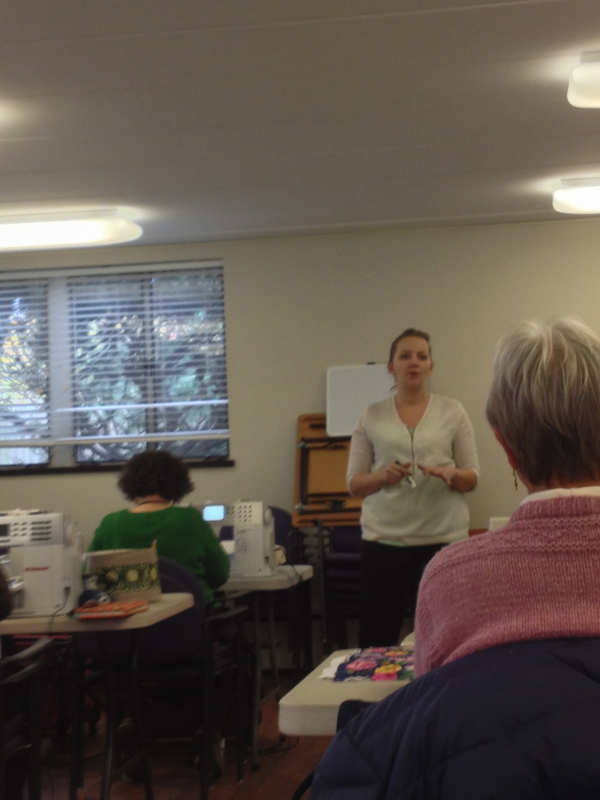 My traditional guild, The Needlechasers of Chevy Chase, brought Angela to the DC area to give a lecture and a workshop. DC Modern Quilt Guild got to take advantage of her being in town and scheduled a lecture as well. When I asked Angela which type of guild she normally speaks to, she said that she enjoys to speak to both traditional and modern guilds and considers herself “bilingual”. She also has a theory that the two groups are getting closer together and that as the younger modern quilters gain more sewing experience, there will be less and less difference between them. I found this to be very interesting and hope that I am not misspeaking what she said about this. 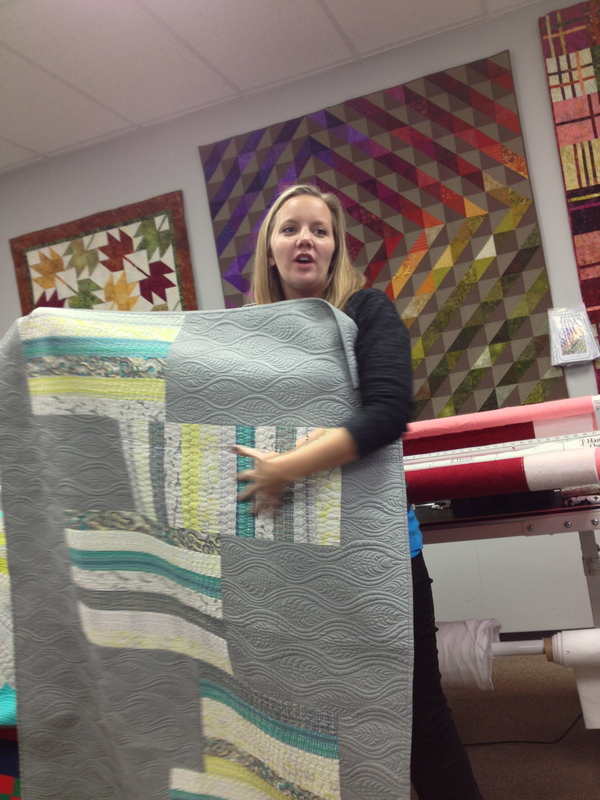 This quilt highlights Angela’s fabric line “Drift”. 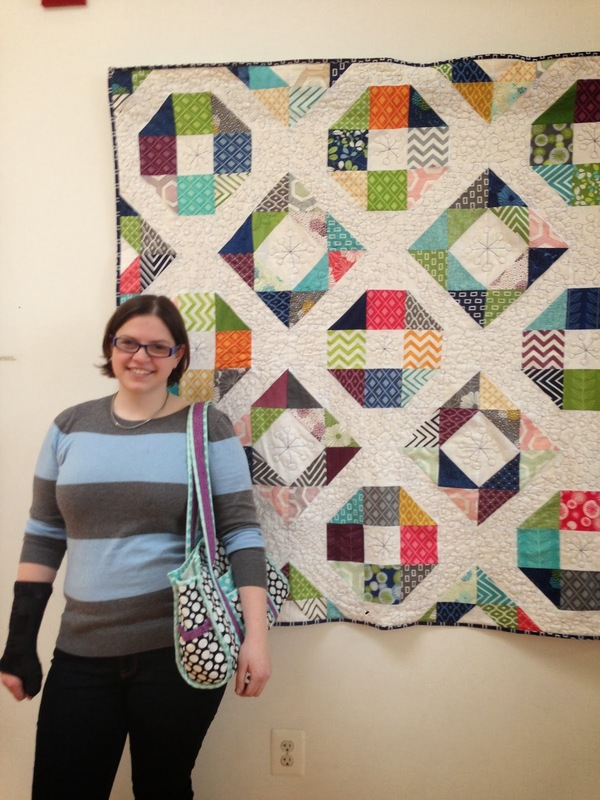 There is no doubt that she loves to quilt and she wants everyone else to love it too! 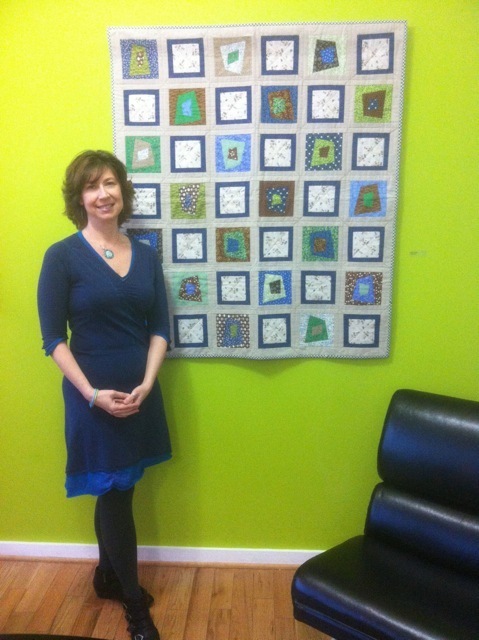 Her website is www.quiltingismytherapy.com. There are links there to her blog, to video tutorials, to free quilt patterns, to her shop and to where she’ll be teaching next. 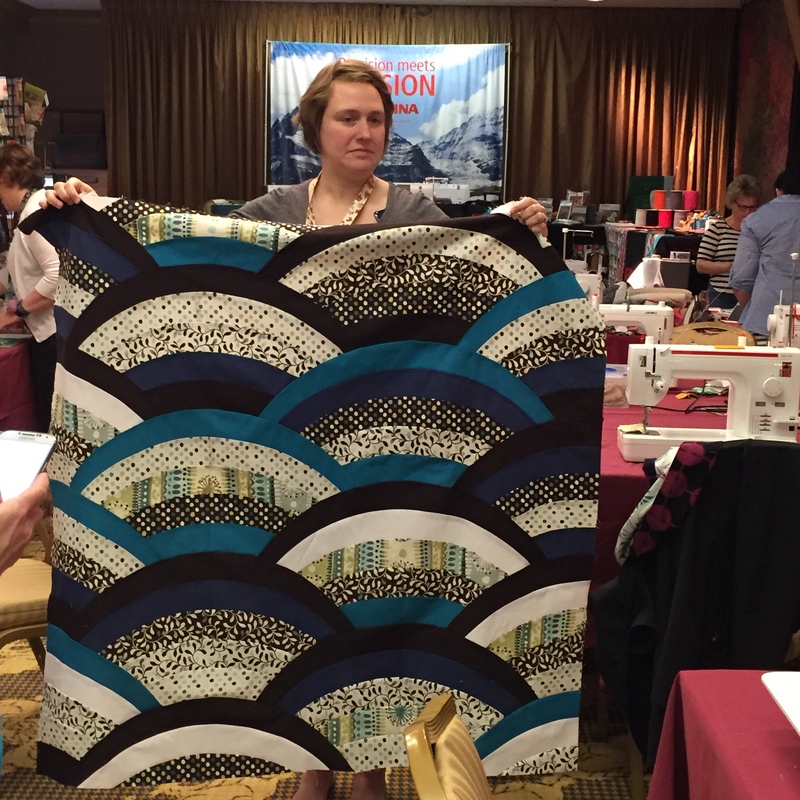 If you are not lucky enough to catch her in person, she currently has four Craftsy classes on free motion quilting which surely must be the next best thing – or even better because you can pause it and play it over and over while you’re practicing. “Impracticality” Pieced and quilted by Angela Walters. 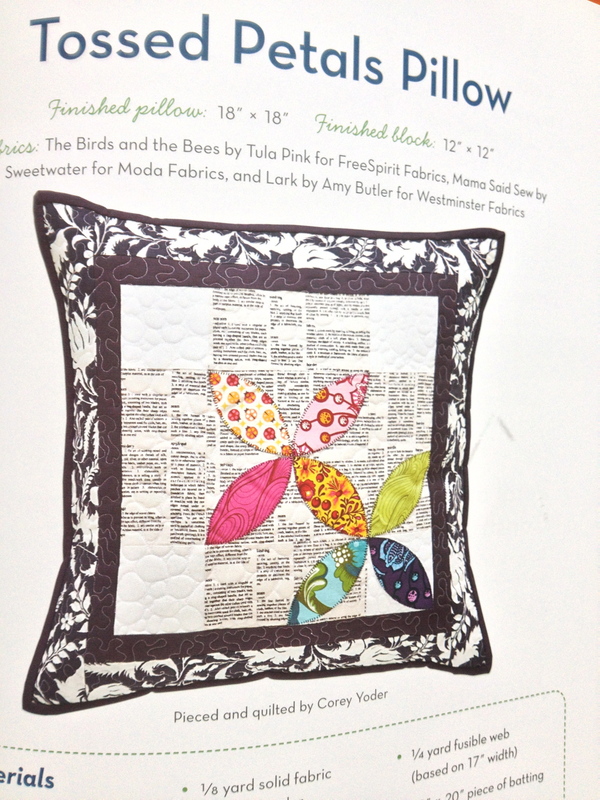 Featured on the June/July 2013 issue of Quilter’s newsletter. Click on photo for free pattern. Angela has written several books and has YouTube video tutorials. She has recently announced another book which will be available in April 2015 that she wrote with her 9 year old daughter about quilting with kids. 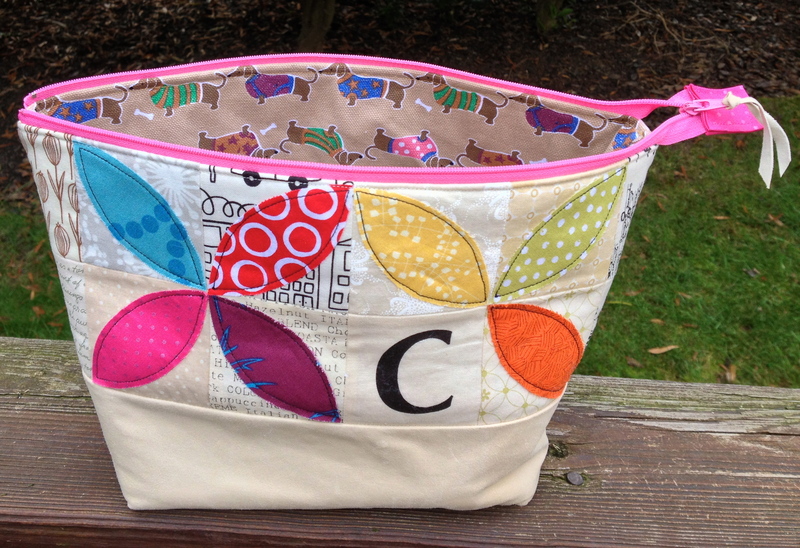 I am so excited about free motion quilting now and hope to practice on some smaller projects like tote bags or pouches. 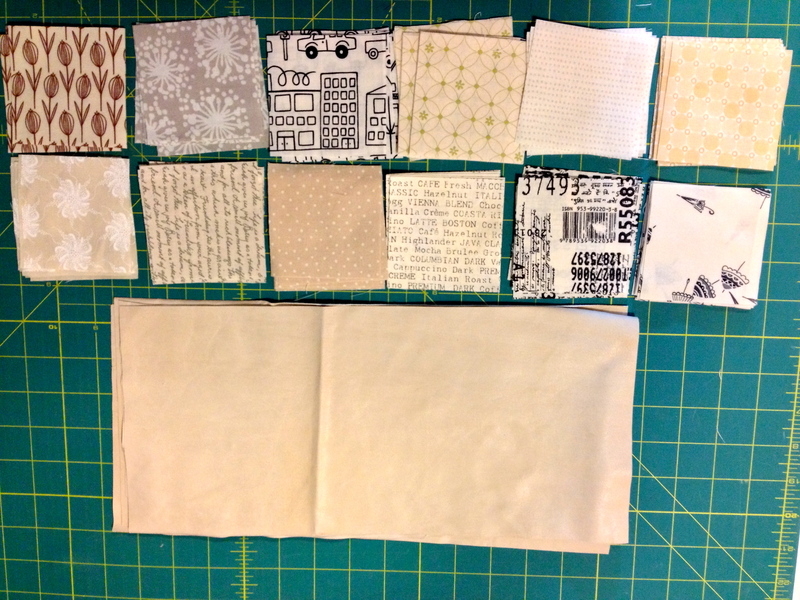 The smaller size will help me feel more comfortable when I go to quilt something larger – I think! I hope! 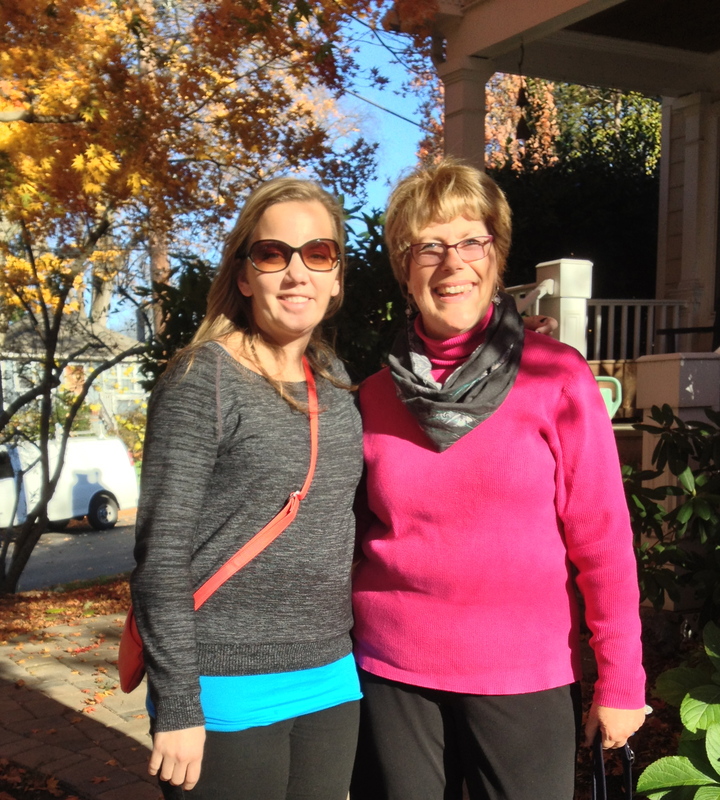 I have always defaulted to using my walking foot but I am encouraged to try something new. As I’m working I’m going to hear Angela telling me that echoing is my friend and that there are no mistakes that can’t be made to look better with more quilting. I’ve also found that using a coordinating thread color can make even a multitude of flaws look pretty darn good. 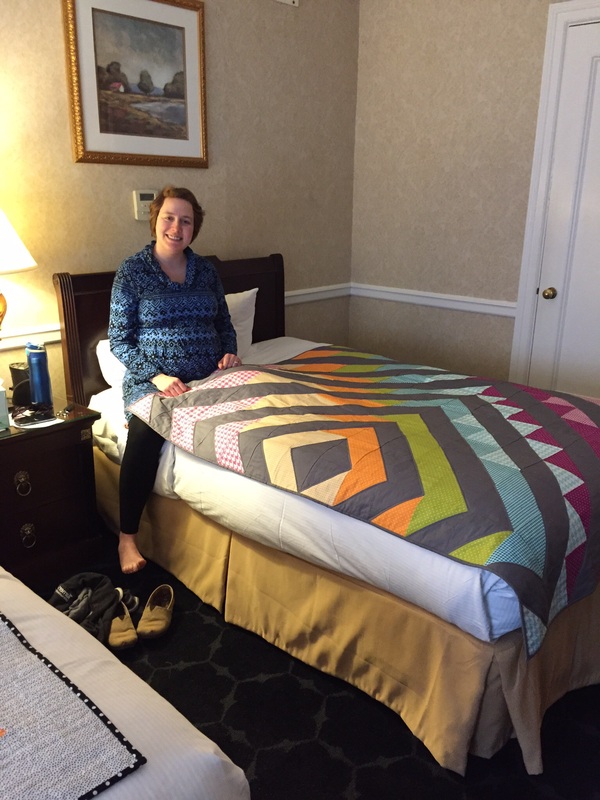 Thank you, Angela, for being such an inspiration and for sharing your love of free motion quilting with us! I joined a swap last month. 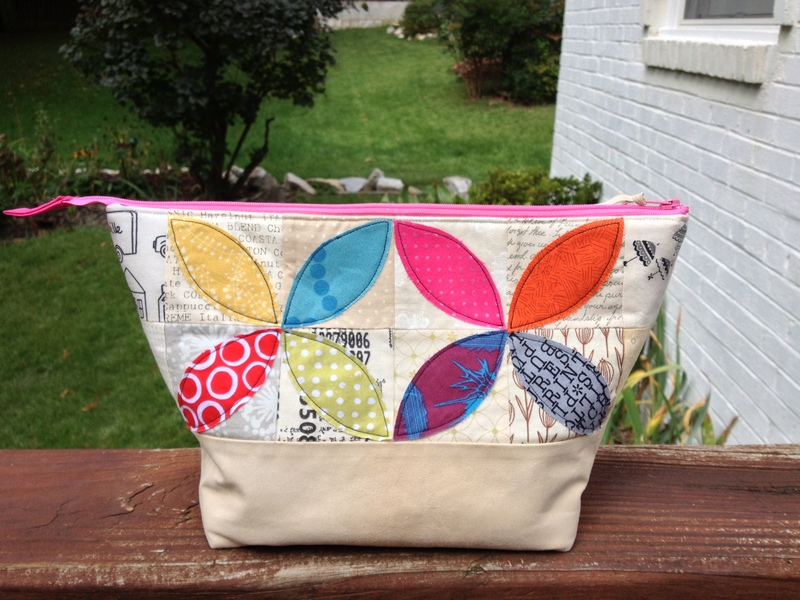 Jennifer Mathis who blogs at Ellison Lane posted that she and Lindsey Rhodes from LR Stitched were going to host a pouch swap. I would have 6 weeks to make and send a pouch. I don’t enter a lot of swaps because I don’t enjoy the pressure of it. You have to try to guess from a few photos and their social media sites what someone else would like and you want to do your very best work. Also, there is obviously a timeline. Aka deadline! I’ve been making so many pouches lately though, that I thought that this swap would be fun. The 6 weeks was key because I was about to take a road trip for 3 of those weeks. That trip gave me time to think about what I might want to make. I decided to make the largest size of the Open Wide Pouch by Noodlehead. This is a free pattern on her blog and I LOVE it. It’s easy to make and it does open wider than other pouches which makes it easier to find things inside. 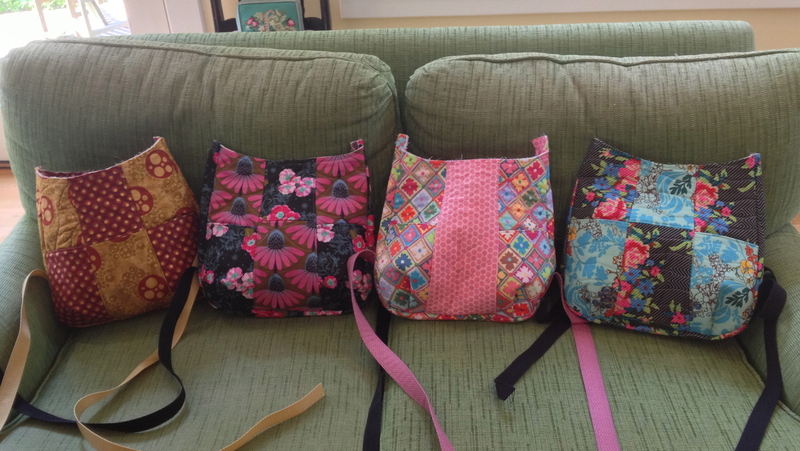 I’ve made a lot of the medium size bag, but hadn’t tried the larger size. This was my chance. Squares all sewn together and then cut to the width of the leather. I decided to use a piece of creamy colored (and feeling) leather that I had bought years ago. This might make the pouch more “special”. I had just enough leather to cut four pieces in order to make two pouch bottoms. I know so many “sewists” who make something for a swap and then have trouble giving it away because they love it so much. Not me! I made myself one too! 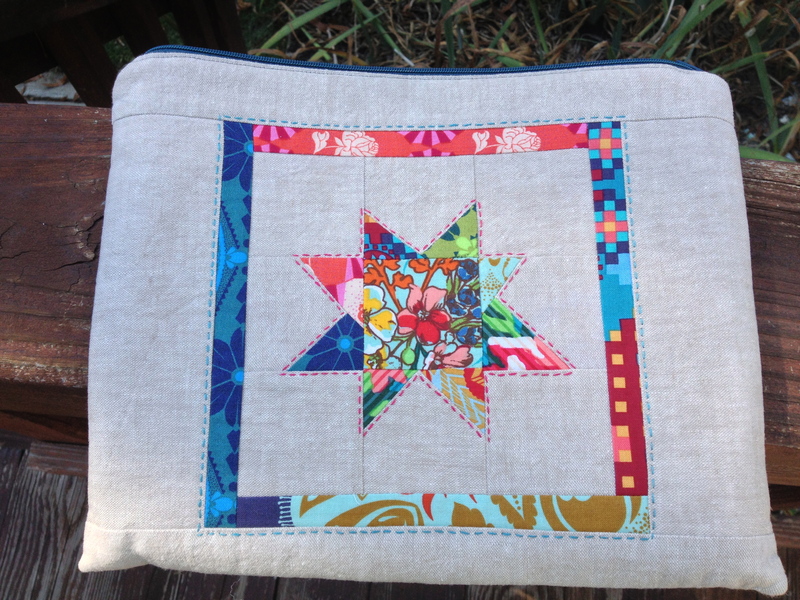 I’ve been noticing and loving a few quilts and pillows I’ve seen recently that have low volume backgrounds with bright orange-peel shapes appliquéd on top. In fact, I just bought the new book Playful Petals by Corey Yoder which has this pillow project in it that is a good example of what has inspired me. From the book Playful Petals by Corey Yoder. Adding the bright colors to my project sure did liven it up! I added the “peels” by fusing them in place with double sided fusible (Wonder Under) and then straight stitched around the edges after adding a layer of fusible batting to the whole backside. This stitching sort of disappeared in the darker colors but made the lighter colors stand out against the low volume background. My swap partner’s flickr name is fatdoxiesstudio. I had to actually look up what “doxie” meant and it’s a slang term for dachshund. She did have some photos of her doxie on her flickr site and so I found some great fabric to put on the inside of the pouch. The little shirts on the dogs even sparkled. 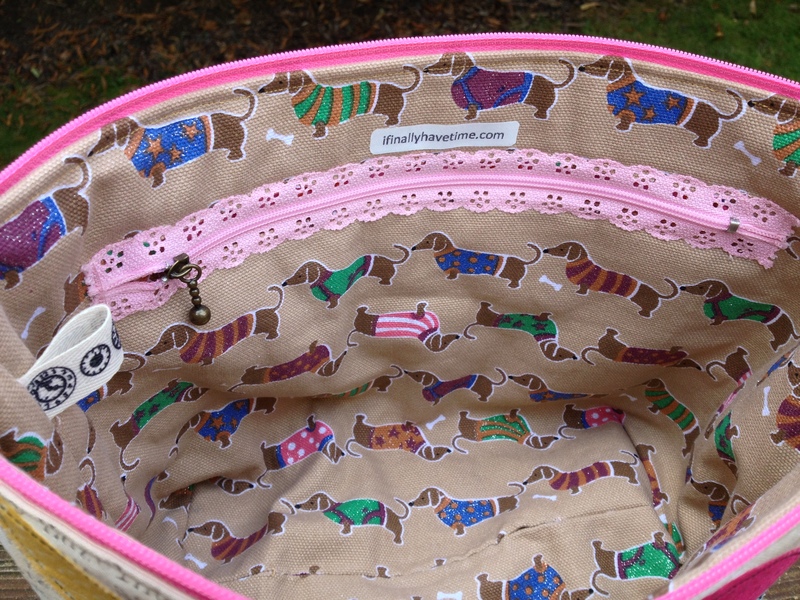 Doxies and a great zipper. I also added a zip pocket to the inside and used one of these lacy zippers to that. All done and received by my swap partner. Addendum: I received this amazing pouch filled with fun office supplies (all sorts of post it notes, paperclips and “to do” lists) the day after I posted the pouch I made. 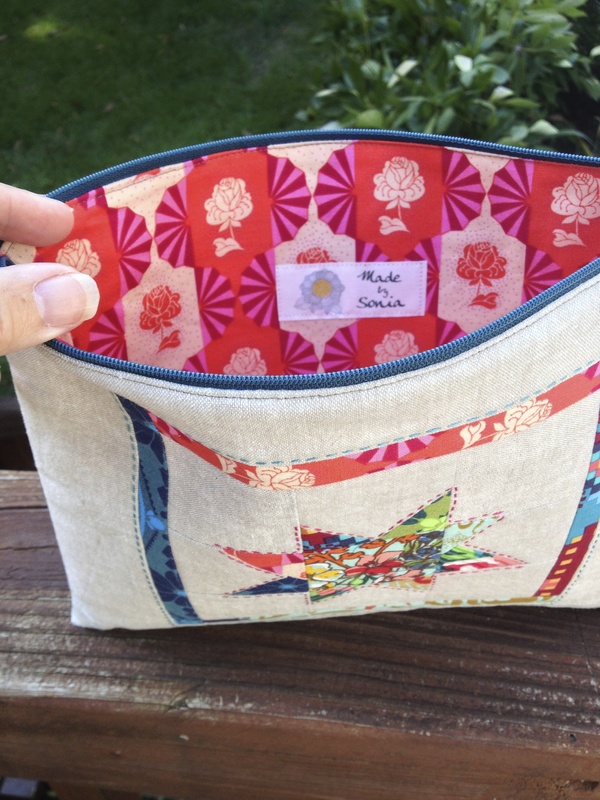 Sonia made this fabulous pouch and it incorporates all of the things that I love! Thank you so much Sonia! 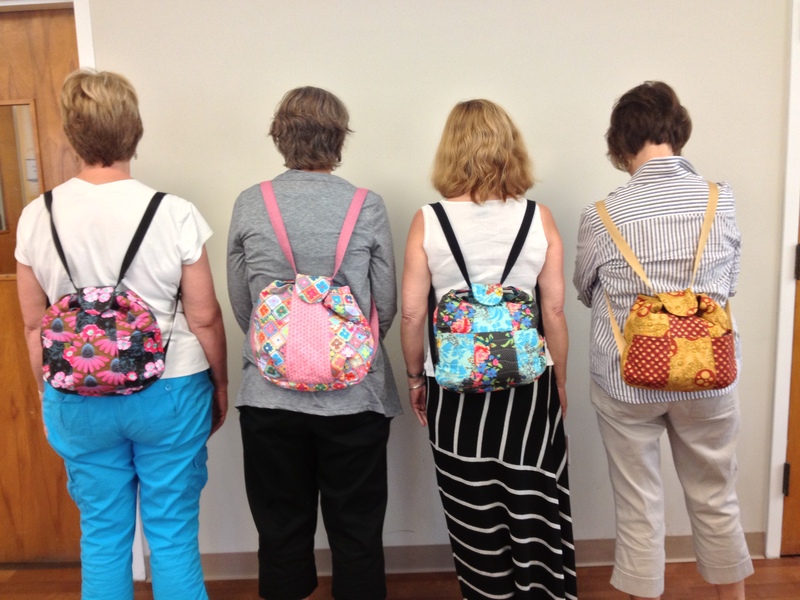 This project started with a fellow NeedleChaser guild member who showed her purse during “show and tell”. I thought it would be very handy to have a bag this summer that could also be worn hands free on my back. I bought the pattern and recruited a few friends to make it with me. This seems to be the best way for me to get something done these days. Boy, did I need those friends to get this done! The pattern is 12 pages long. There are a few variations you can chose which affect how and what you cut out. There are a lot of pieces and the very BEST thing about the pattern is the premade label sheet that you can see above. Most of the pieces are given as simple dimensions rather than pattern pieces and these labels made the chore of cutting everything properly much less daunting. 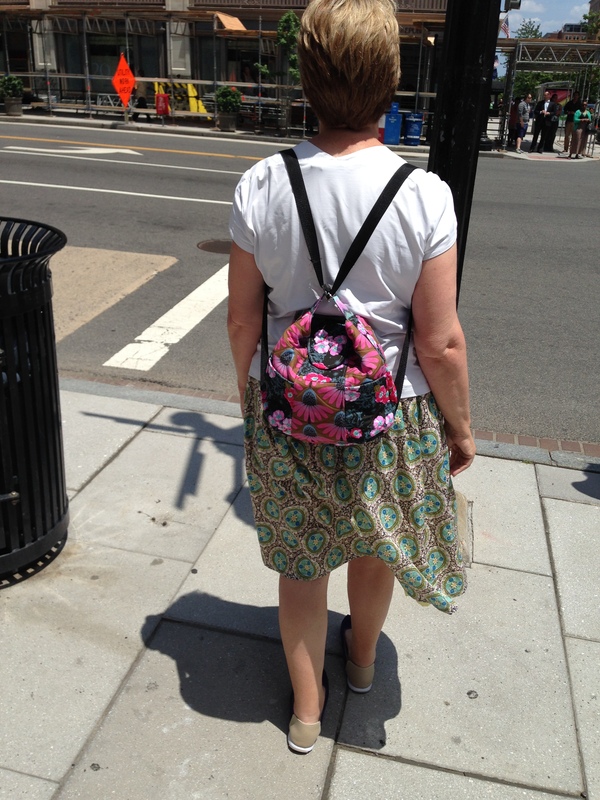 Of course, the reason there are a lot of pieces is the reason we like the bag – lots of pockets and a chance to use a couple (or more) coordinated fabrics for the outside. 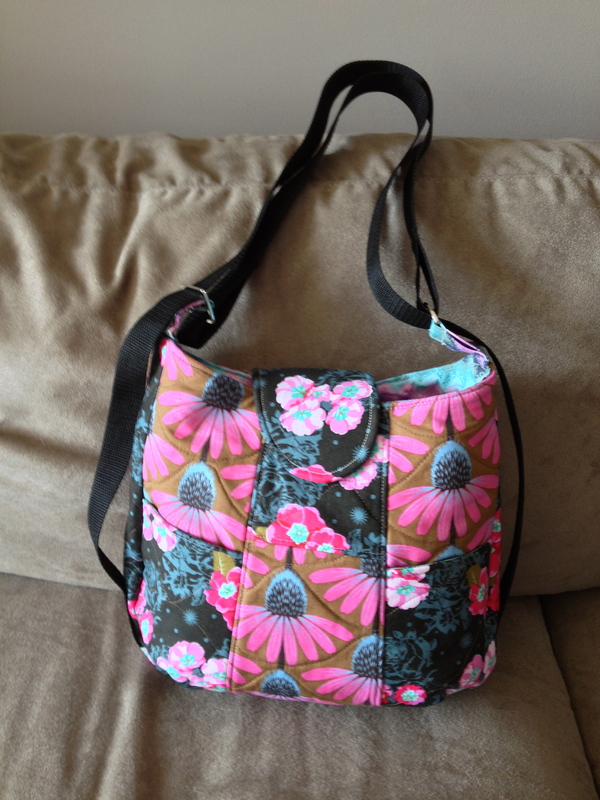 I used this pretty AMH fabric for the outside but found that Tula Pink’s fabric went well with it for the inside. 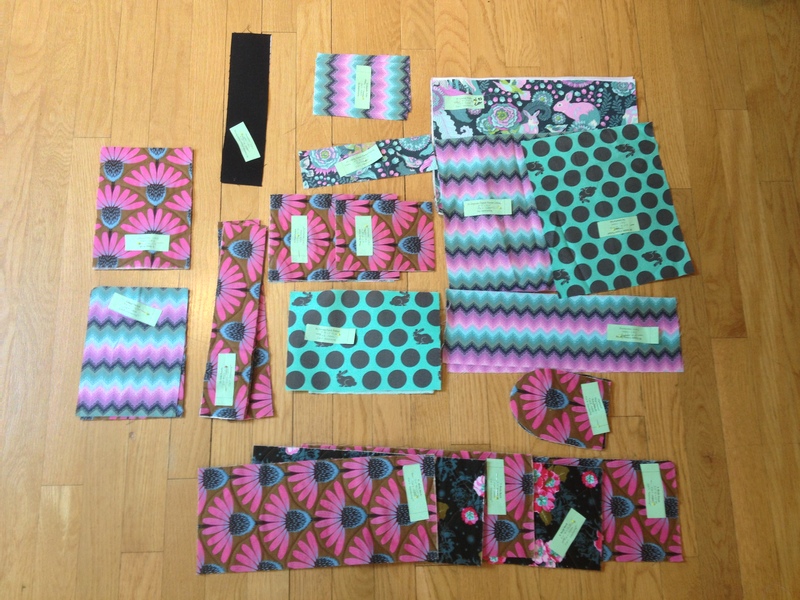 The four of us met one morning at 10 AM with our pieces all cut out and ready to sew. At 5 PM we had them almost done. Who would have guessed it would take that long? I ALWAYS underestimate how long it is going to take for me to sew something. Do you? We had to each finish up individually and a week later, we have all done it! I think that I will use this bag a lot this summer. 1. To begin, I found it helpful to highlight the cutting diagrams I was going to use, once I decided on the options given. 2. When the outside and the lining are both made, the directions tell you to iron in a 1/4″ fold and then topstitch the two together. Lynne chose to leave an opening in her lining and sew the two parts together inside out which seemed to give a much cleaner finish. 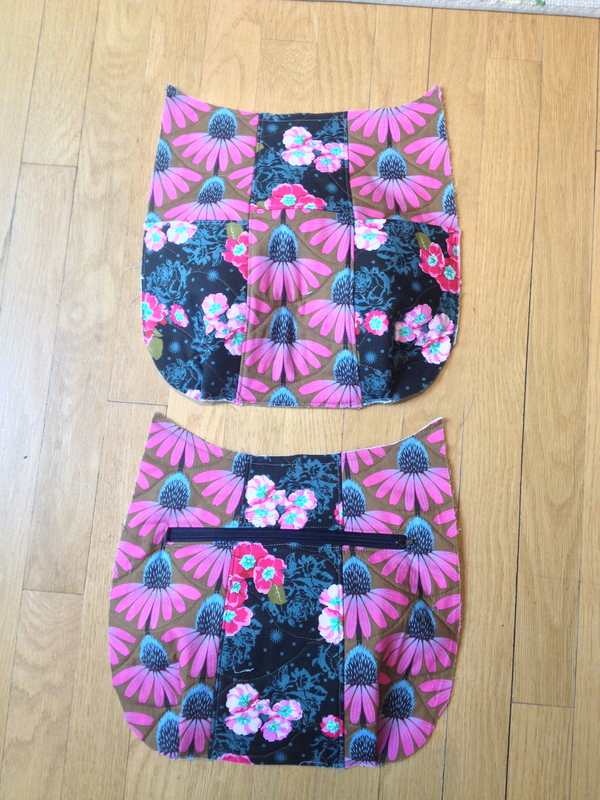 It still needed to be topstitched, but the bags are already sewn together when you do this. 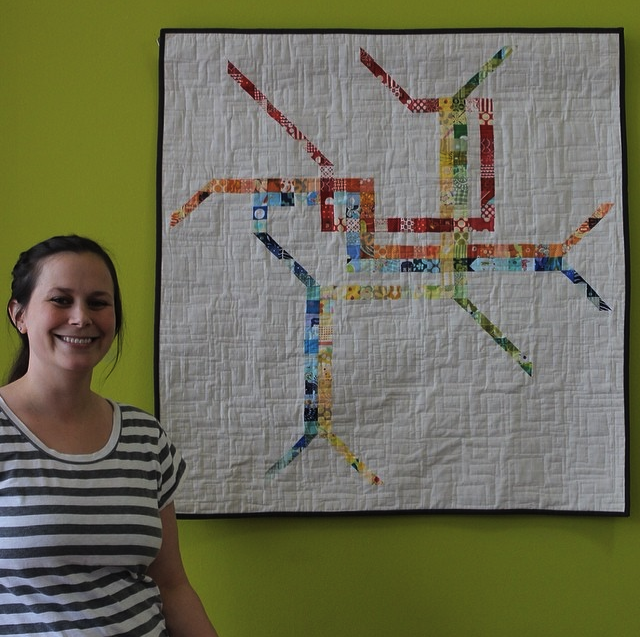 A few weeks ago the Anacostia Arts Center in Washington DC opened an exhibit of quilts by local quilters. 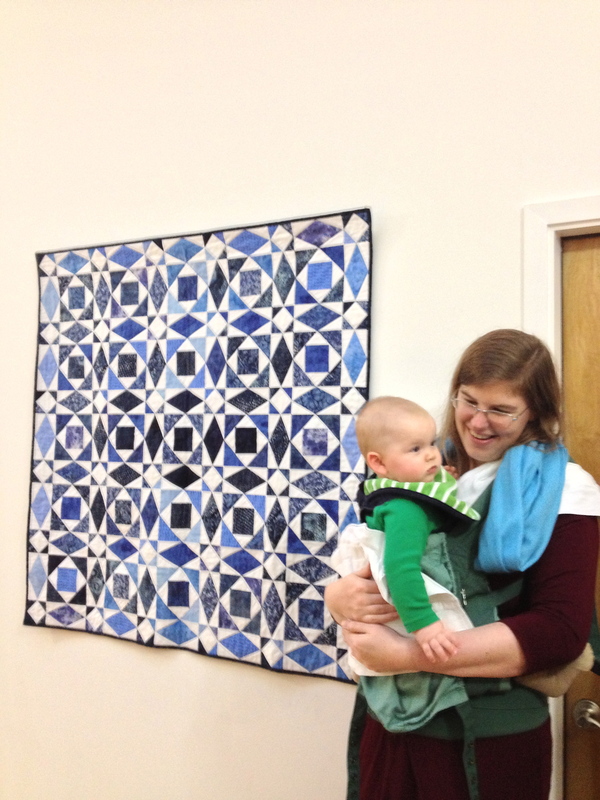 DC Modern Quilt Guild members have a variety of quilts hanging there including one of mine. 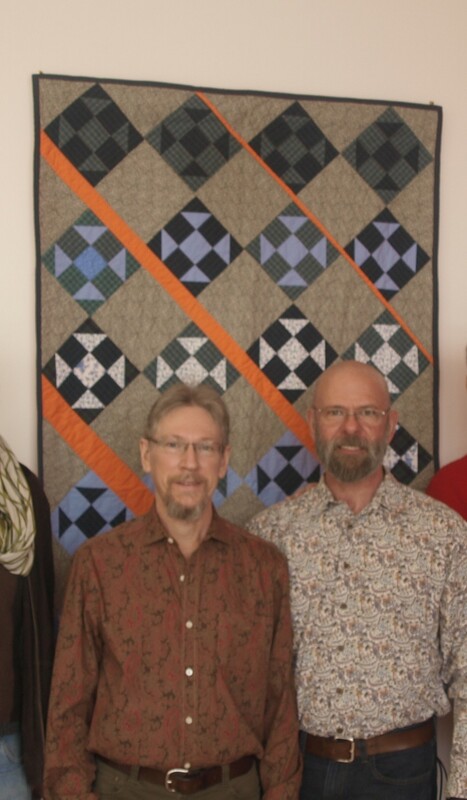 My husband and I helped to hang the quilts on the day before the opening. The quilt below was made by a member of the Daughters of Dorcas quilt organization. 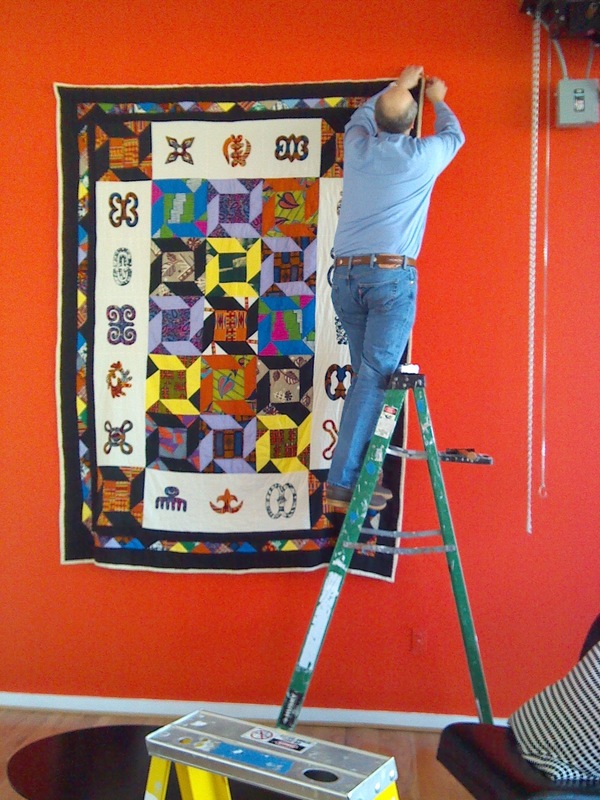 My husband hanging the largest quilt in the exhibit. 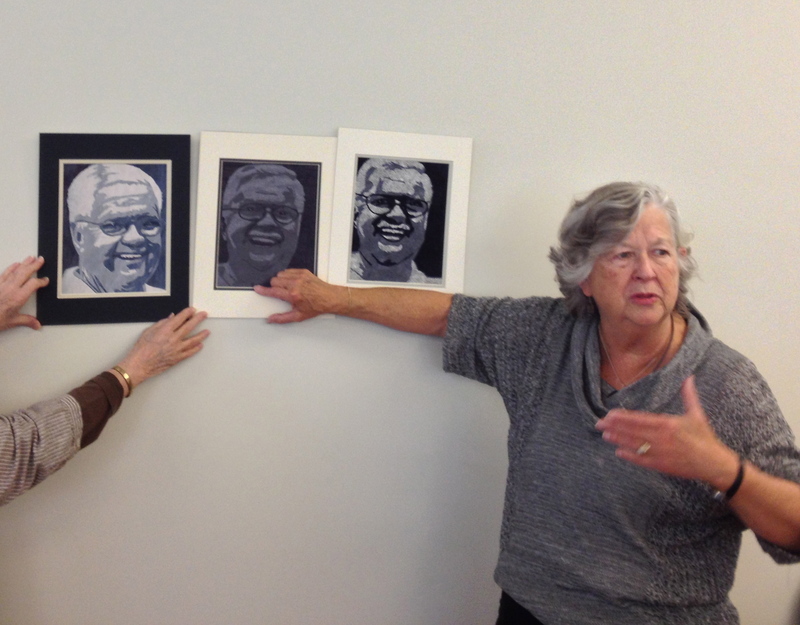 Photo courtesy the Anacostia Arts Center. I wanted to make something new to wear to the opening reception. I had some Nani Iro double gauze fabric just waiting for this purpose and chose to make a pattern by Sew Liberated called the Schoolhouse Tunic. The pattern comes in two lengths and I chose to make the longer version. I love how it turned out and it is beyond comfortable. Because the fabric was so precious, I did make a muslin first, but ended up not having to make any changes. This is a very quick and easy pattern to make. The front of the quilt above. Read her post about the Arts Center choosing to show the back. 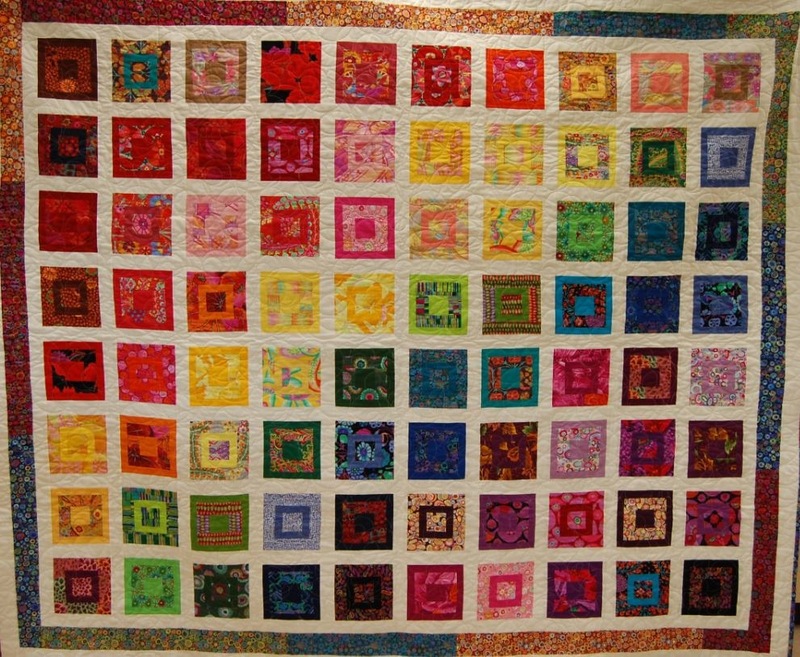 There are many more quilts to see and the exhibit is running through March 29, 2014. If you are in the DC area, make plans to go see it. There is a wonderful cafe in the center that is well worth visiting as well. 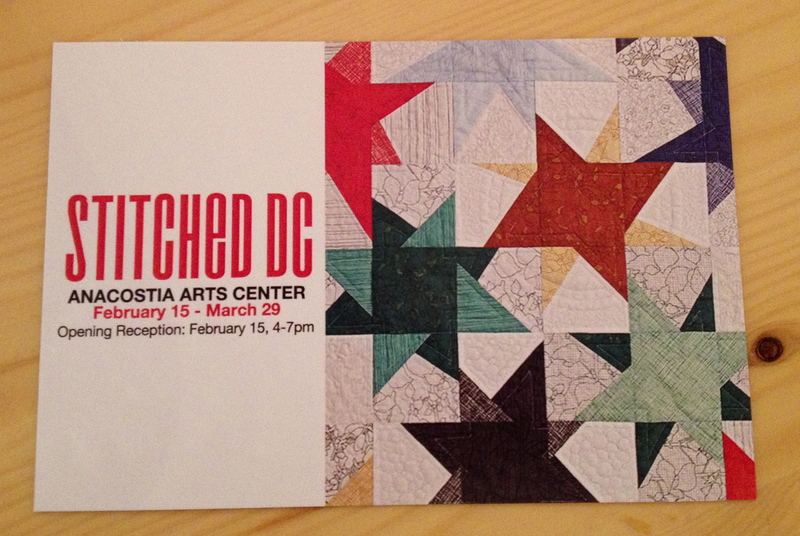 On Saturday, March 8th there will be quilting lectures and pop up shops at the Anacostia Arts Center. Katie Blakesley and Laura Gunn will be speaking from 1 to 3 PM. You do need tickets to attend the lecture. More information and a link to buy them can be found here. 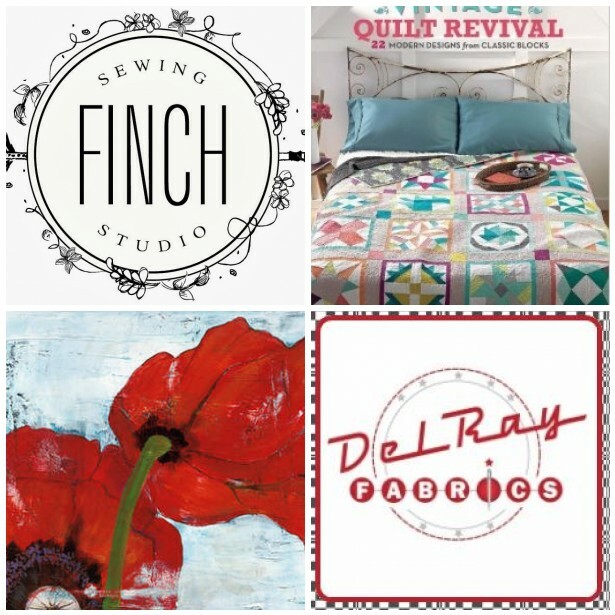 Finch Sewing Studio and Del Ray Fabrics will be selling from 3 to 5 PM. My oldest daughter has always loved to read. 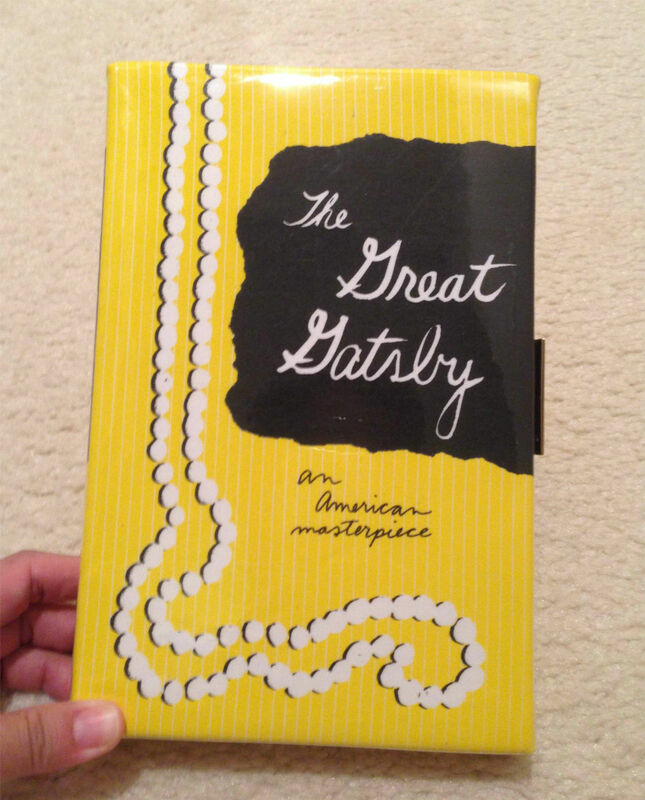 Her sister came up with a great idea to turn a book into a clutch purse as a Christmas gift this year and I was able to help her make it. Have you seen anything like this? Here is one that my other daughter purchased. It is very hard to tell it is a purse! 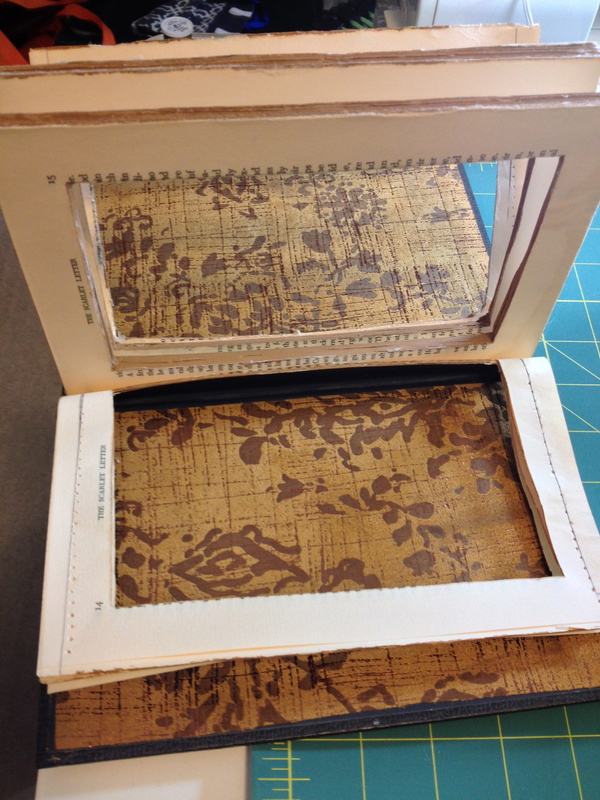 We followed a tutorial by Erica of Caught On A Whim which she calls DIY: Nerdy Chic Book Clutch. Erica has two other tutorials that go along with this one. 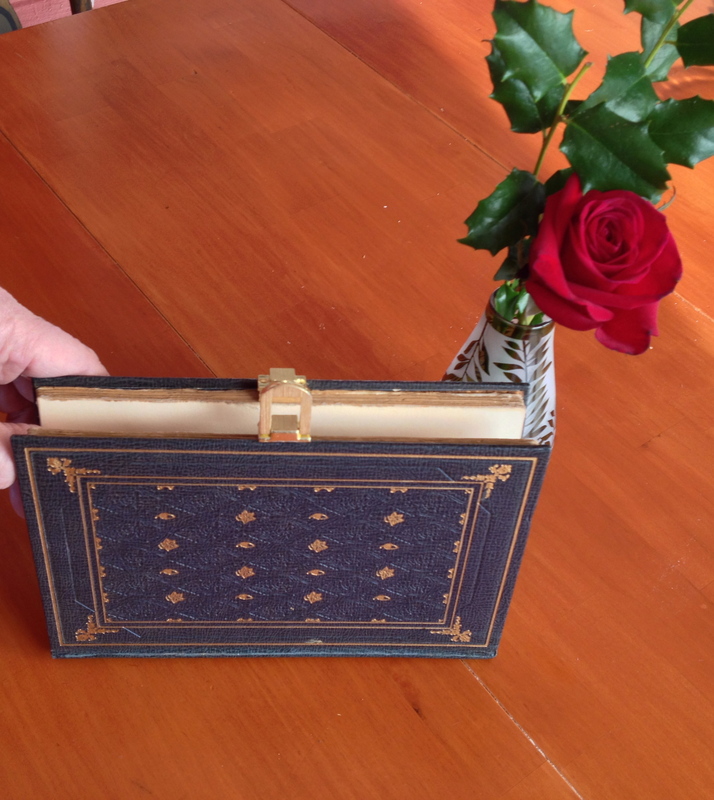 One is for covering a book with fabric and the other is for cutting out the inside of the book to create a space to make a book safe – you know, to hide your cash or jewelry in! 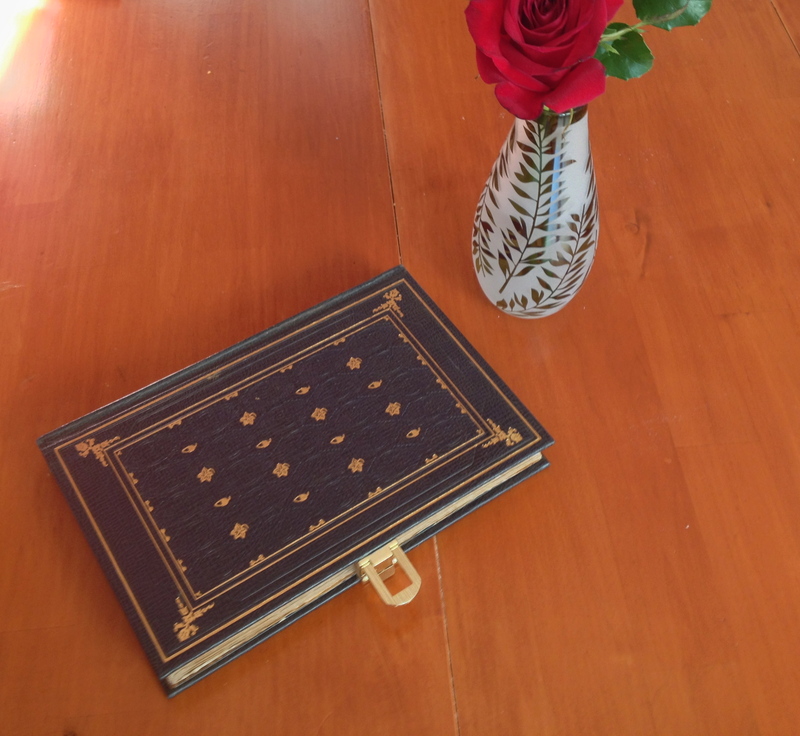 The book that we used was an old book found at an antique shop. It has a pretty cover and so we chose not to cover it with fabric. 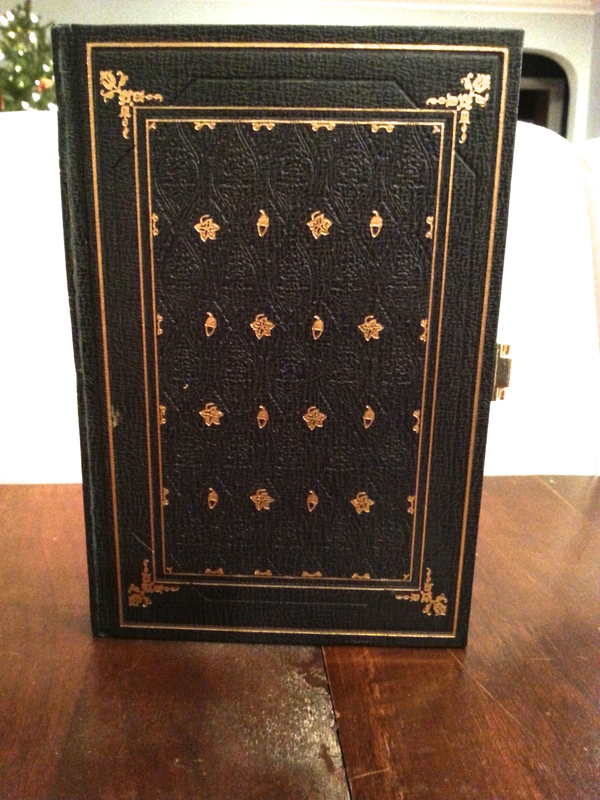 It looks as though it could be leather bound, but it isn’t. Inside covered with fabric and pages cut. Holes are made with a needle along the top and bottom of the first and last few pages and the fabric insert is sewn to these. 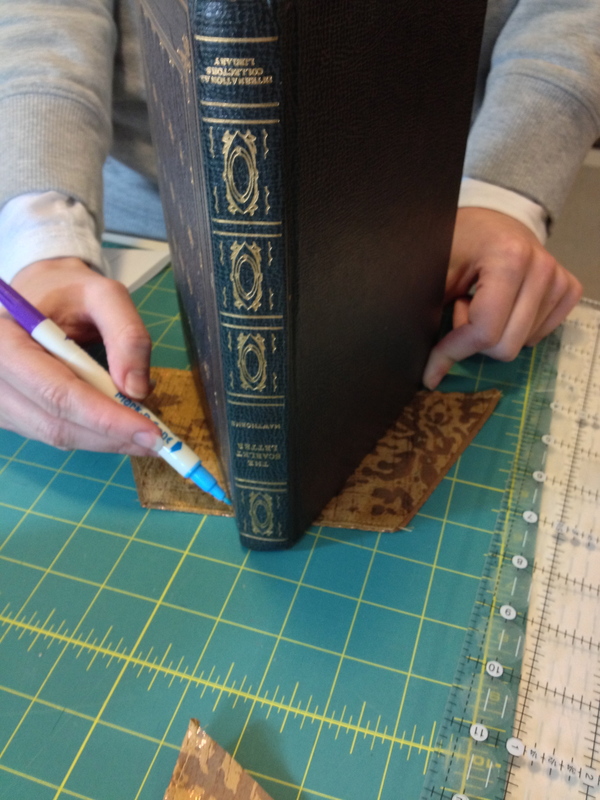 We found that we could have sewn through the pages without making those holes first as we had a very sturdy and sharp needle. Figuring dimension for fabric insert. 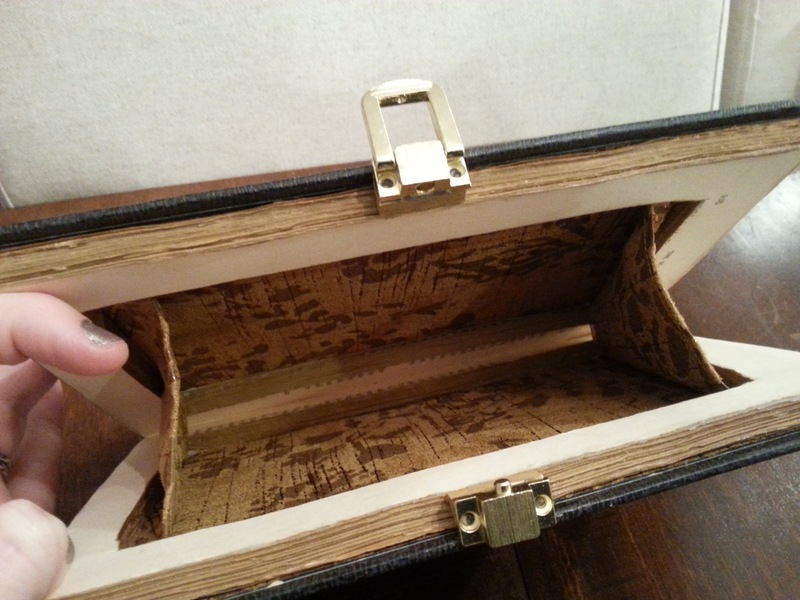 The pages are all mod-podged together (in 2 sections) and we painted the edges of our book to make them look gilded. Putting the clasp on involved first glueing a small piece of scrap wood to the pages in order to align the clasp with the outside of the book. 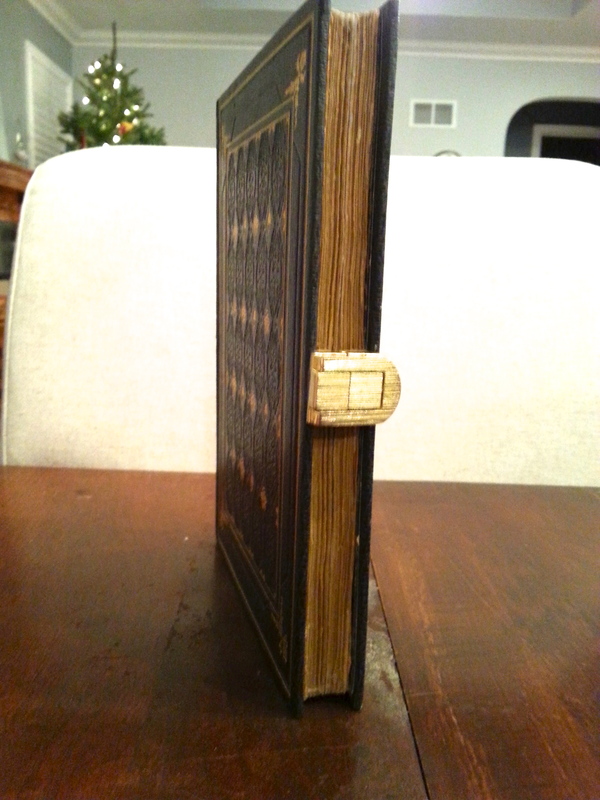 Clasp glued in place and pages painted. It ended up looking pretty great!